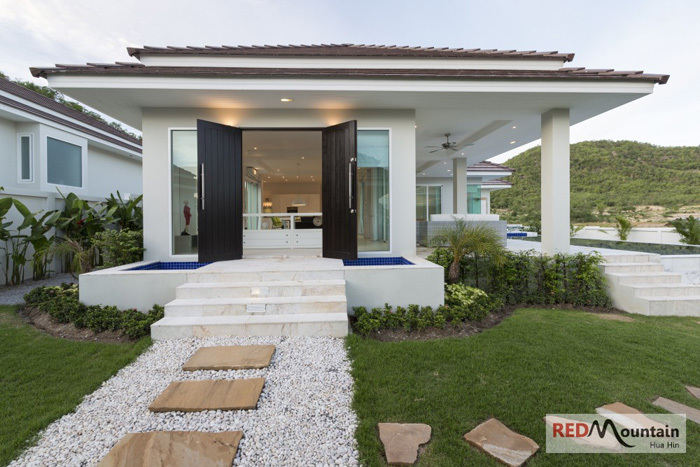 Woodlands will retain the same award winning features which has made Red Mountain a runaway success: Great value modern designed homes with a quality finish, fabulous mountain views, lake and water features along with a new characteristic: Many large beautiful old trees which are being kept in the land to maintain the natural environment and beauty of the area and in which the project takes its name. 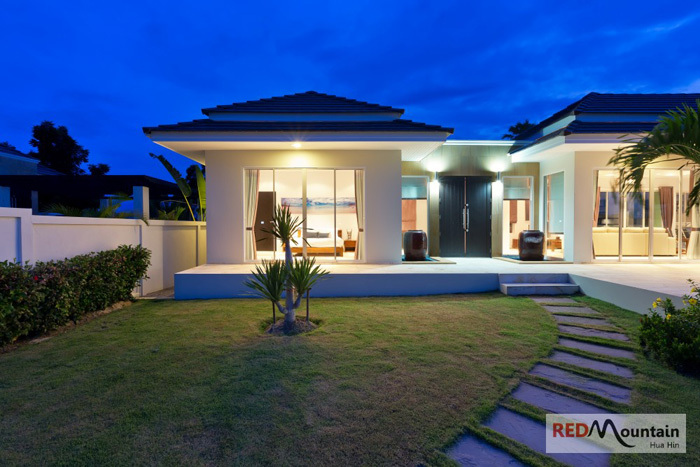 Lower ratio of land vs built up area on land plots offering more space. 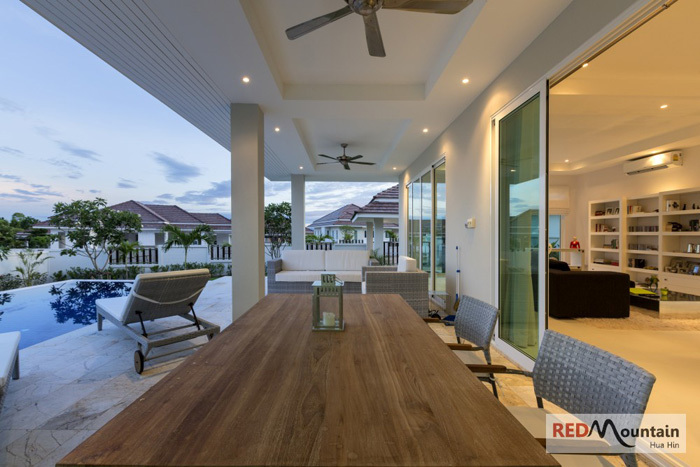 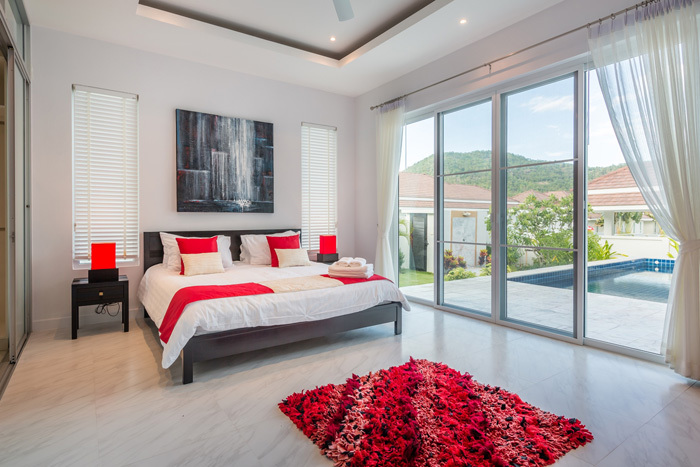 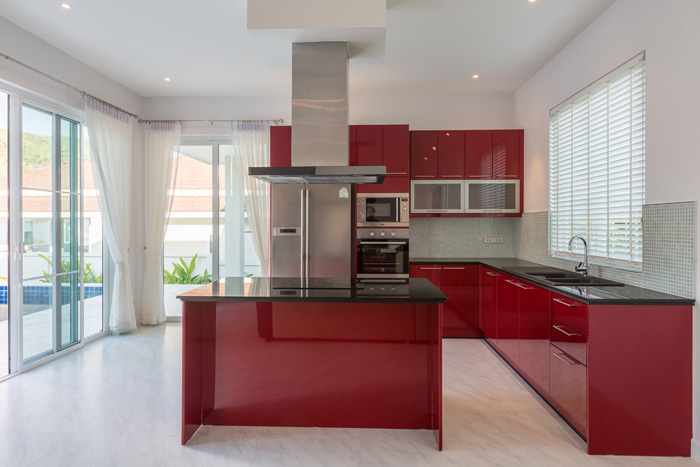 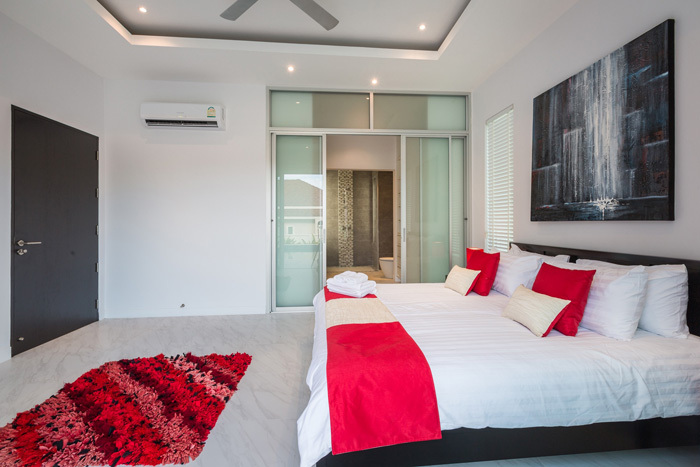 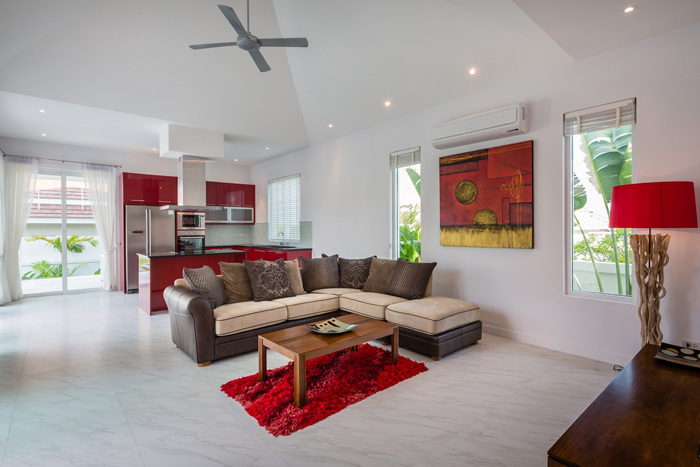 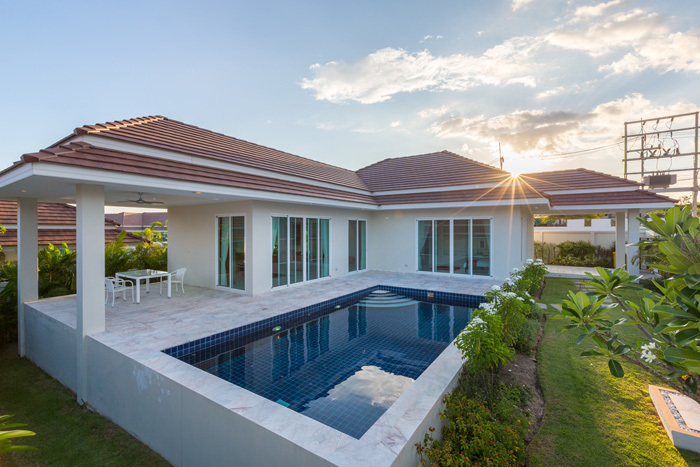 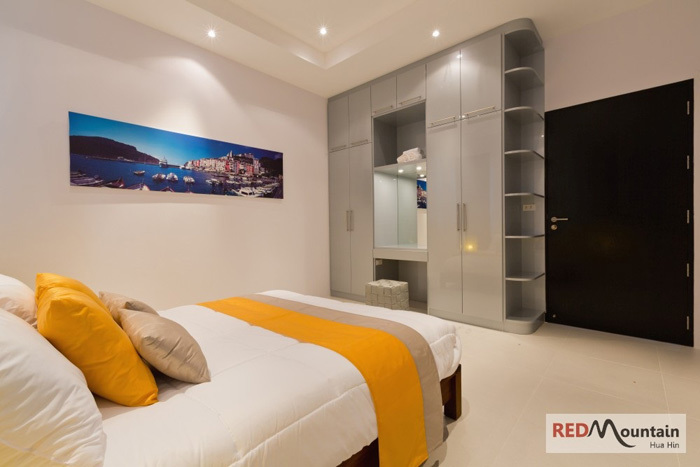 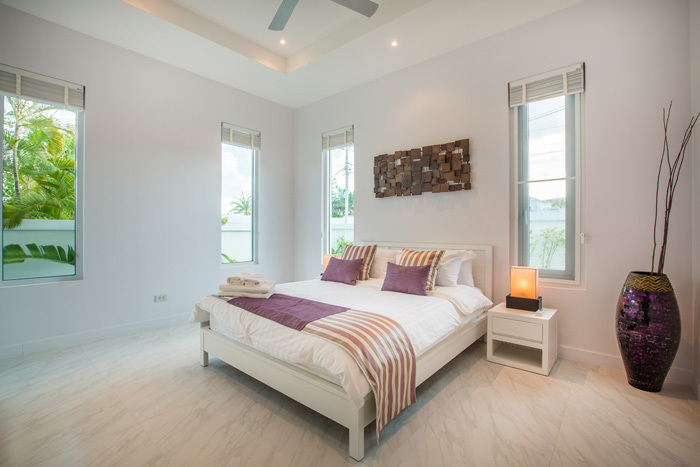 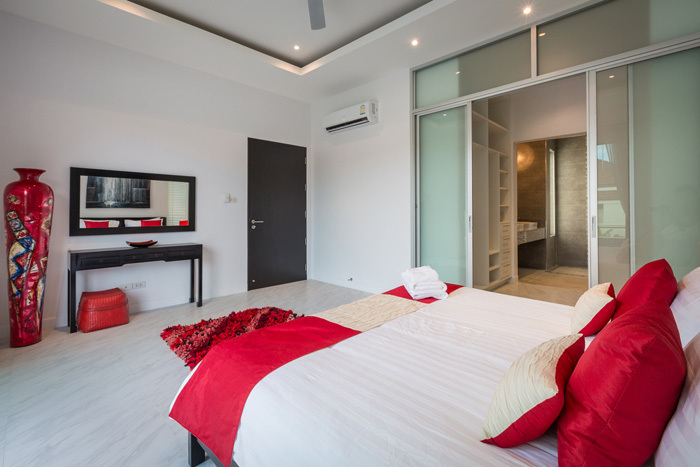 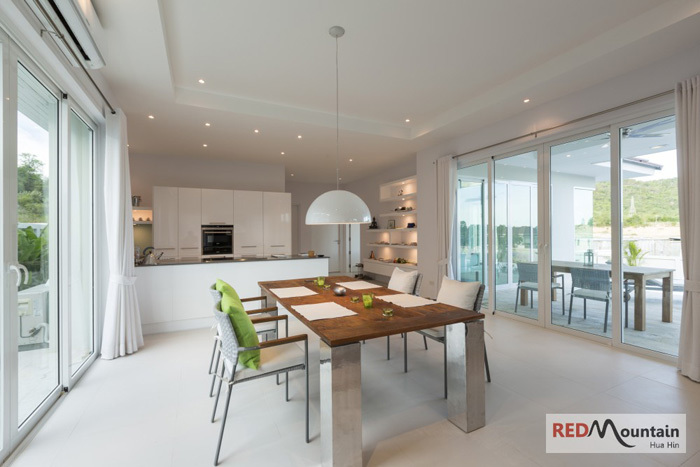 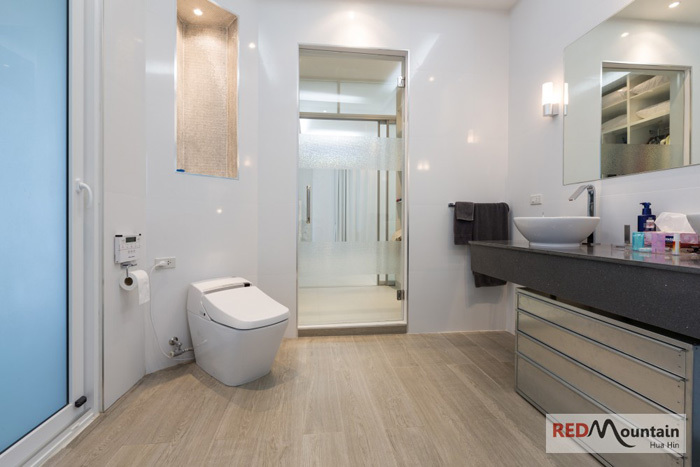 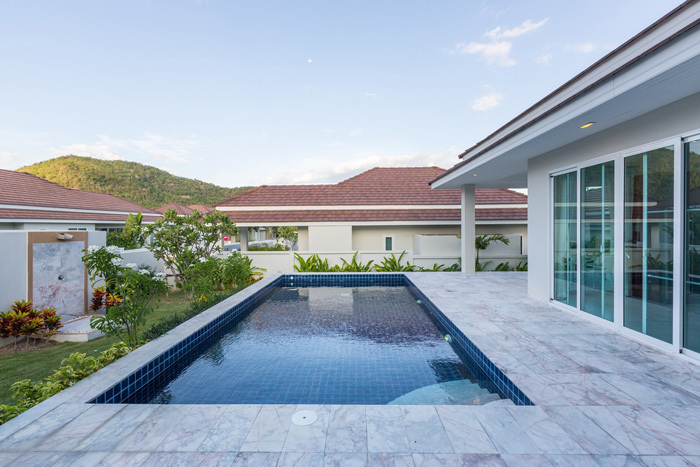 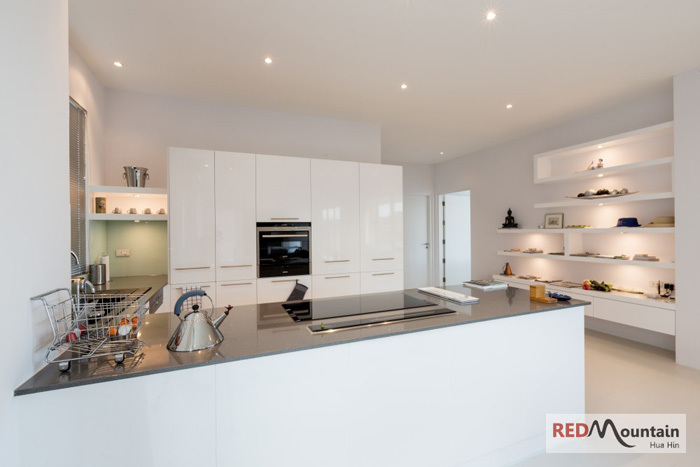 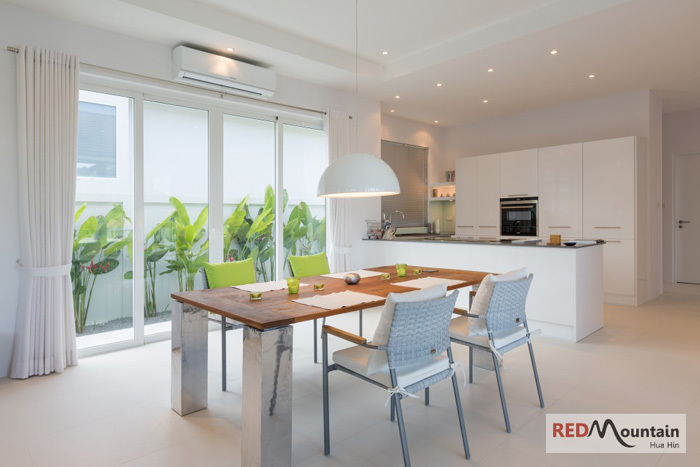 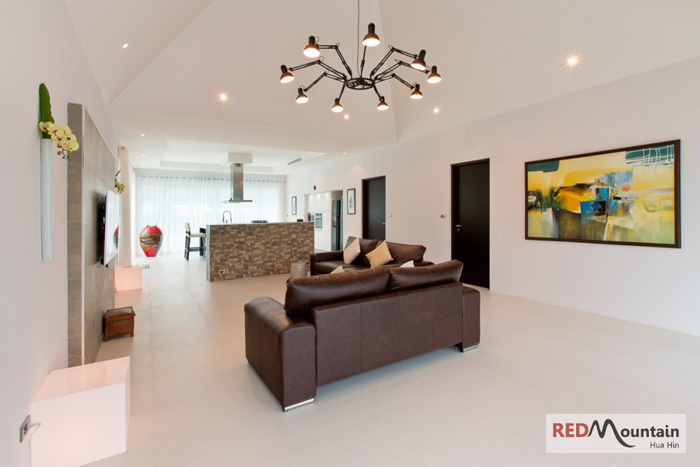 Red mountain is a project at the higher end of the Hua Hin housing market in terms of the quality, finishing products and prime location with views whilst retaining a competitively priced product. 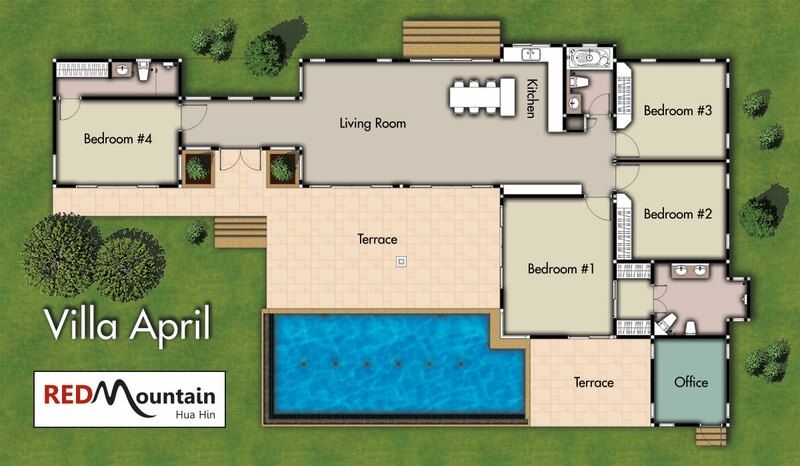 A three (or four) bedroom five bathroom residence with large covered terrace, media room, outside bathroom and 12 x 4m infinity edge swimming pool a 2 x 2m spa. 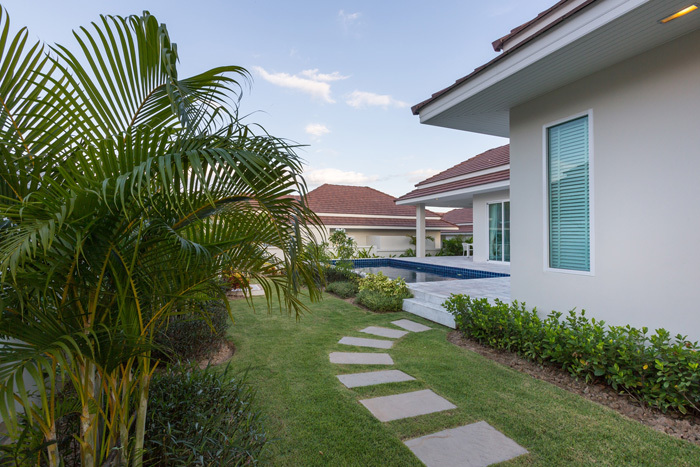 The residence offers 287 sqm of living space on a land plots ranging from 1,000 to 1,300 square meters of landscaped gardens. 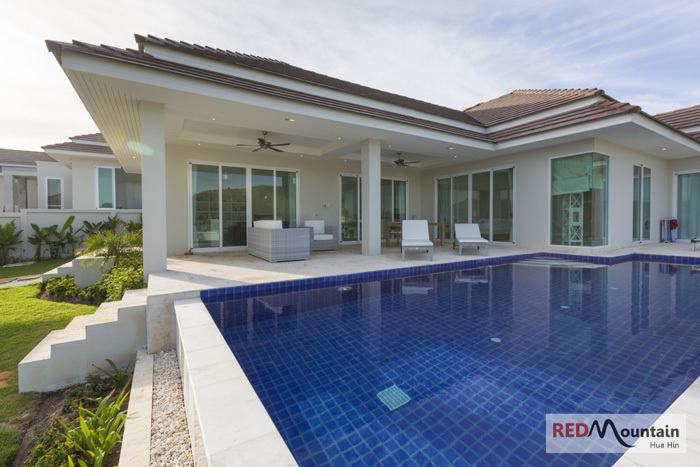 A three bedroom two bathroom residence with an additional outdoor bathroom, covered terrace and 4x10m infinity edge swimming pool. 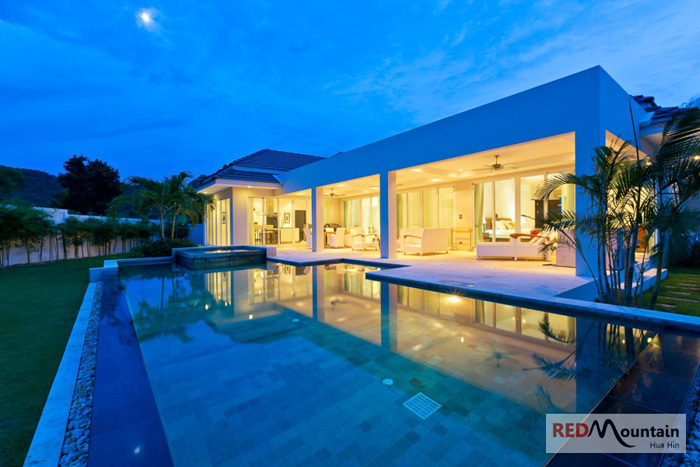 The residence is offered on a land plot of 750 square meters with a total living area of 194 square meters. 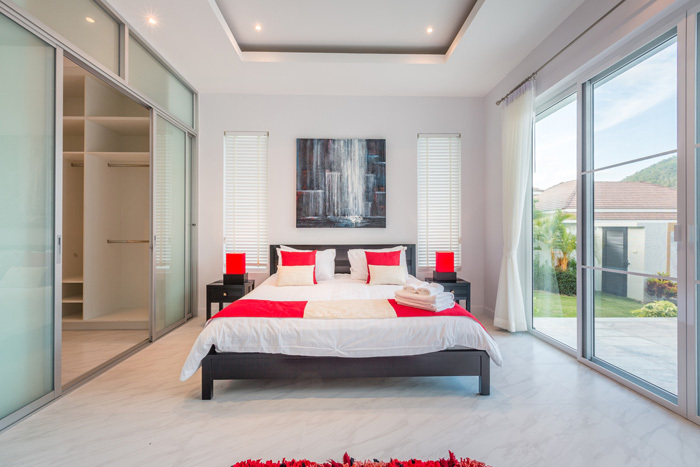 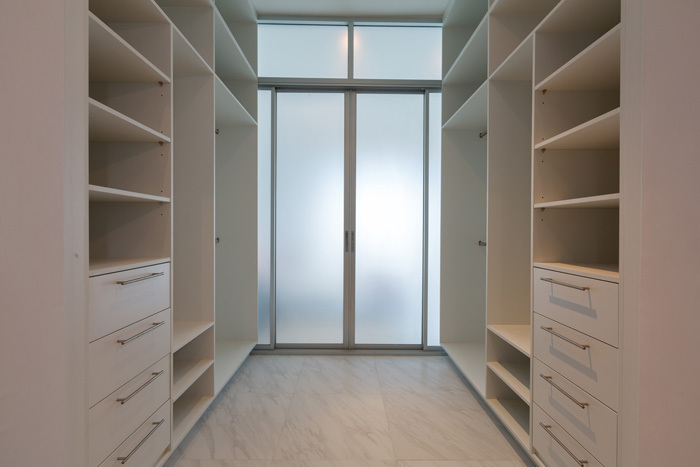 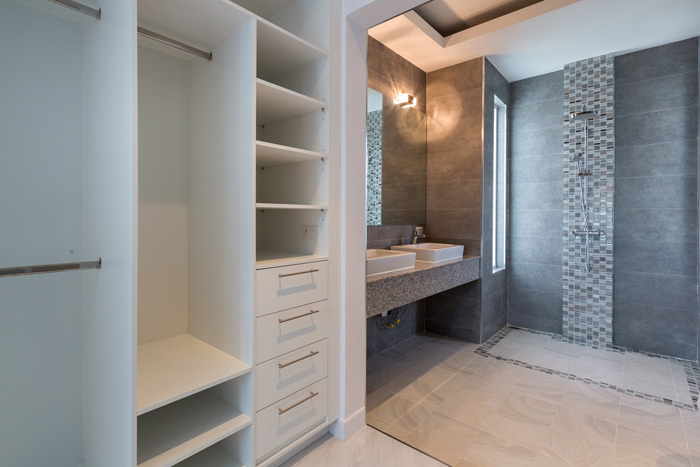 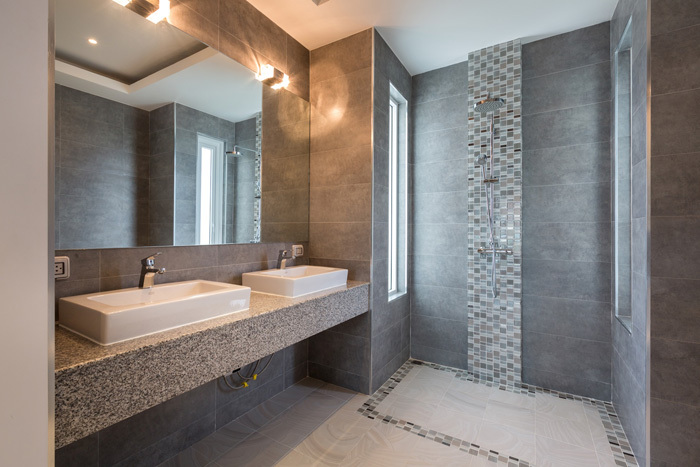 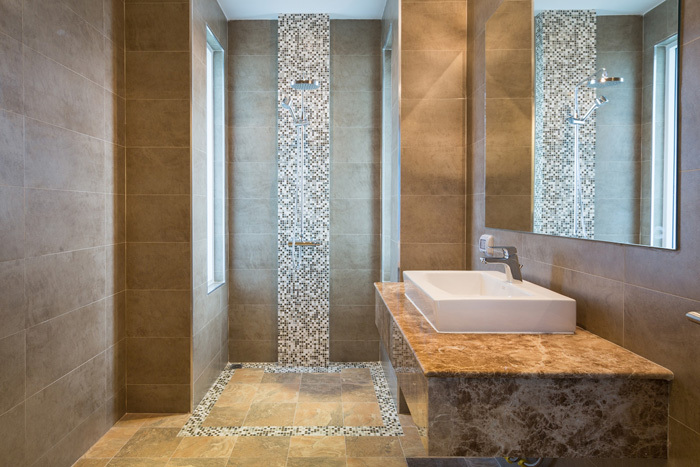 Each residence includes luxury finishing products and high specifications using brand names only for all components, kitchens, bathrooms, built-in furniture, all electrical goods, air conditioning, high ceilings, over-flow pools, granites, sand stones, marbles, stainless steel electric gates, landscaped gardens, alarm systems, etc. 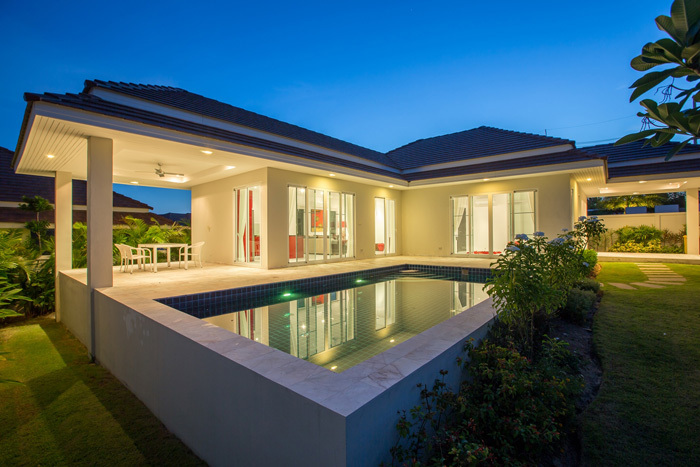 A Four bedroom four bathroom residence with covered terrace, carport and 12 x 4m infinity edge swimming pool. 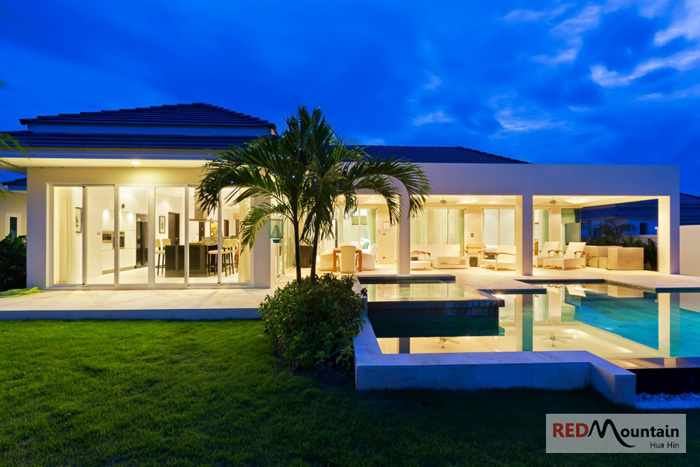 The residence offers 242 sqm of living space on a land plot of 750 square meters. 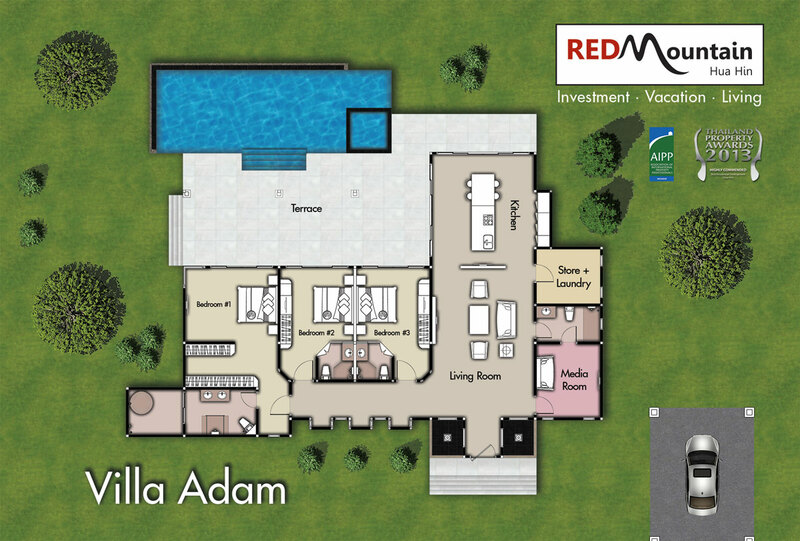 A three (or four) bedroom four bathroom residence with covered terrace, double carport, maid’s room and 12 x 4 m infinity edge swimming pool a 2 x 2m spa. 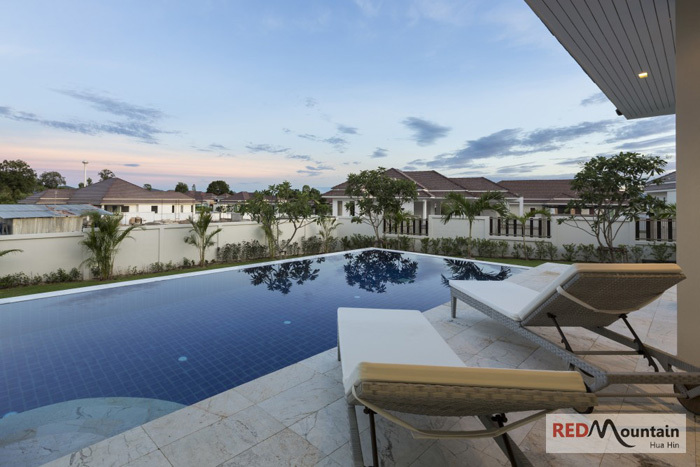 The residence offers 278 sqm of living space on land plots ranging from 1,000 to 1,300 square meters of landscaped gardens. 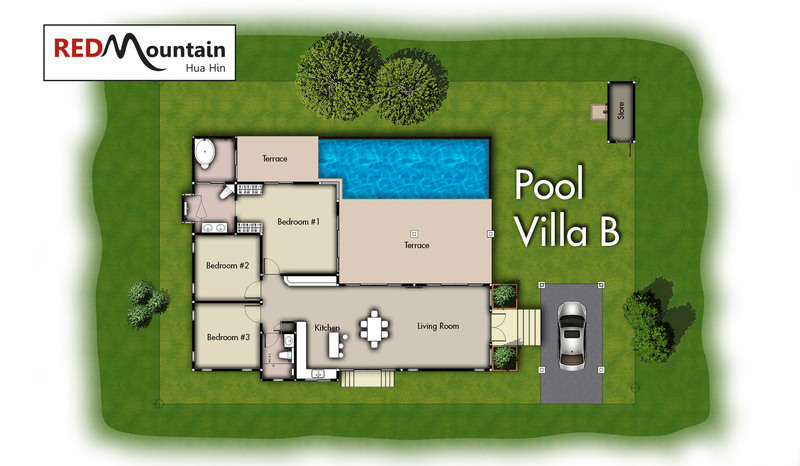 A 3 bedroom, 2 bathroom, ‘L-shape’ design with extra consideration given to the all-important outdoor living areas. 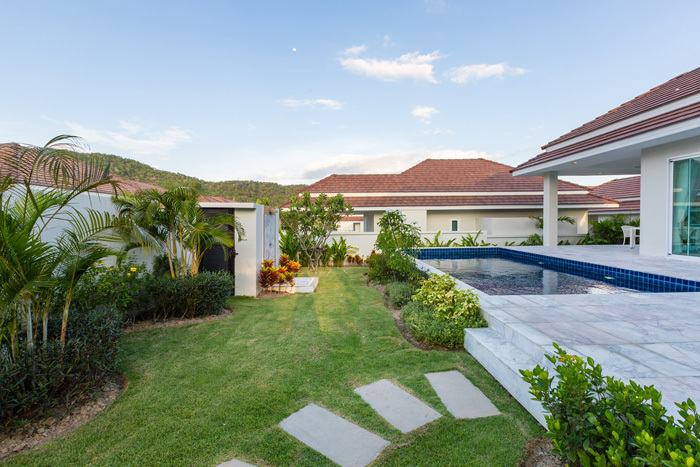 The fully equipped kitchen flows directly to the terrace making for convenient outdoor dining, while the en-suite master also has direct pool access for those early morning dips. 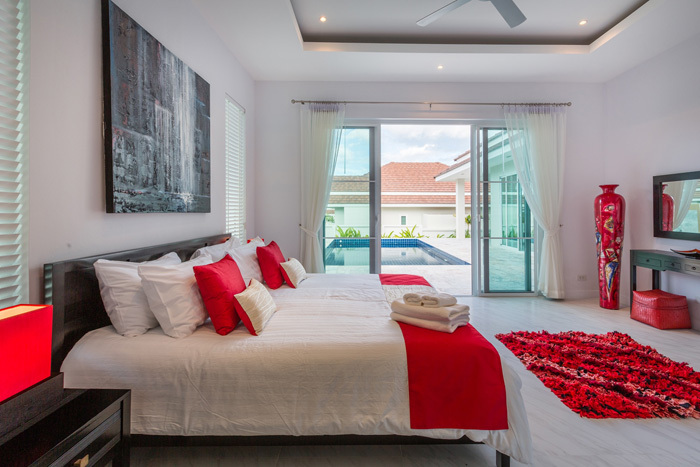 The guest bedrooms have easy access to the shared bathroom and are carefully placed for a touch of privacy from any late pool-side gatherings. 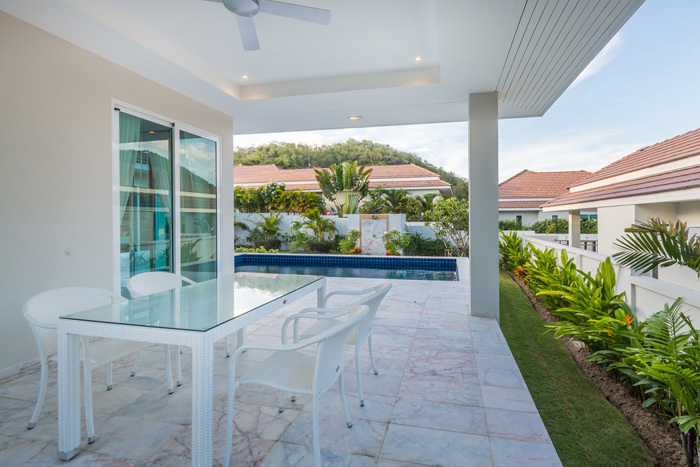 The car-port has been tucked away so as not to blight the views from the terrace or pool. 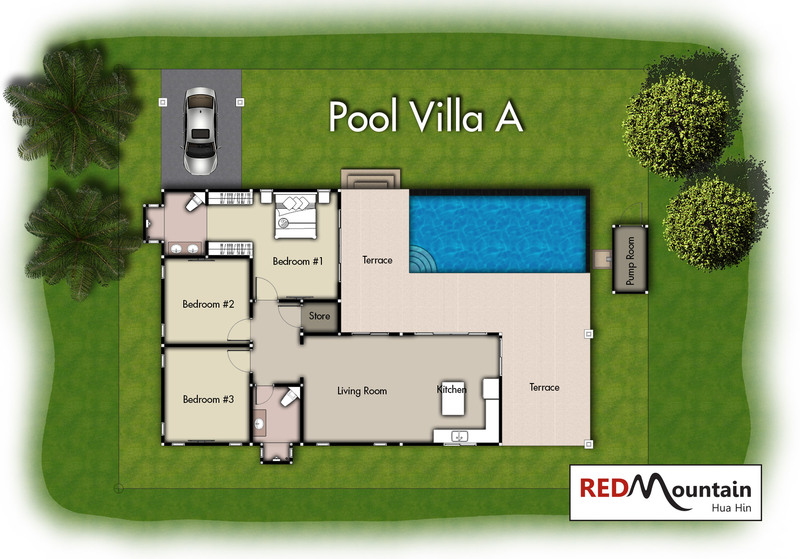 A 3 bedroom, 2 bathroom design based on the popular ‘April Villa’ of Red Mountain Luxury Residences. 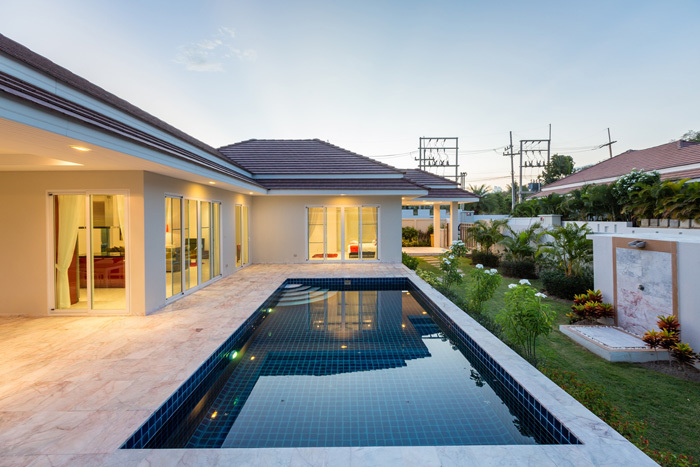 Large indoor and outdoor living areas are a key feature of this style which also has the addition of a private outdoor bath tub. 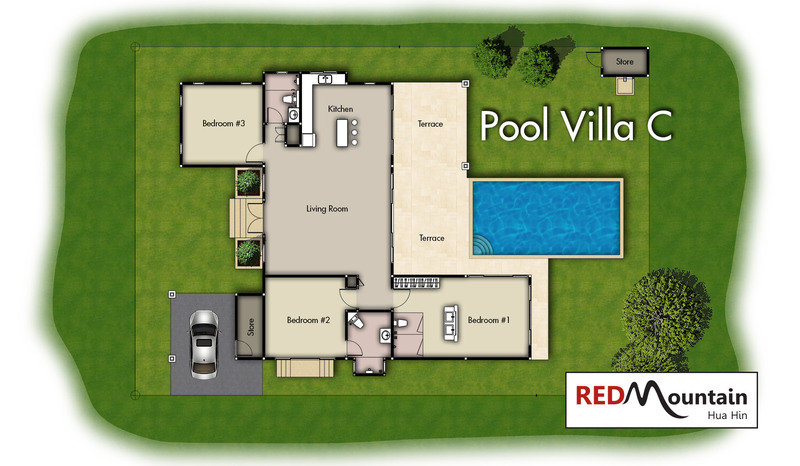 A 3 bedroom, 3 bathroom design that features a large master suite with an open plan bathroom creating a spacious retreat. 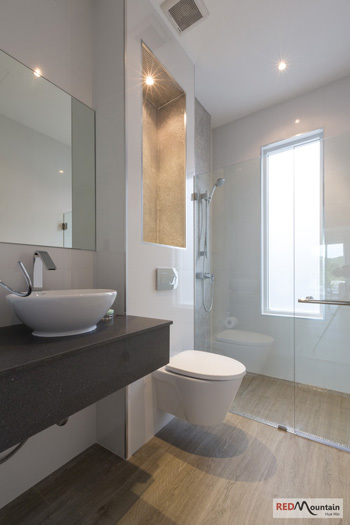 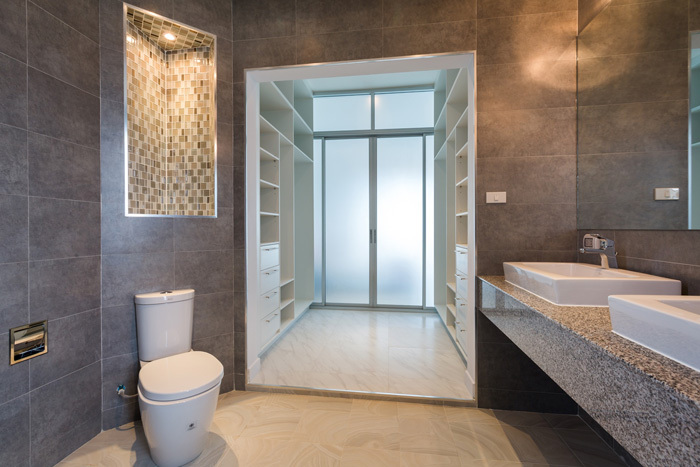 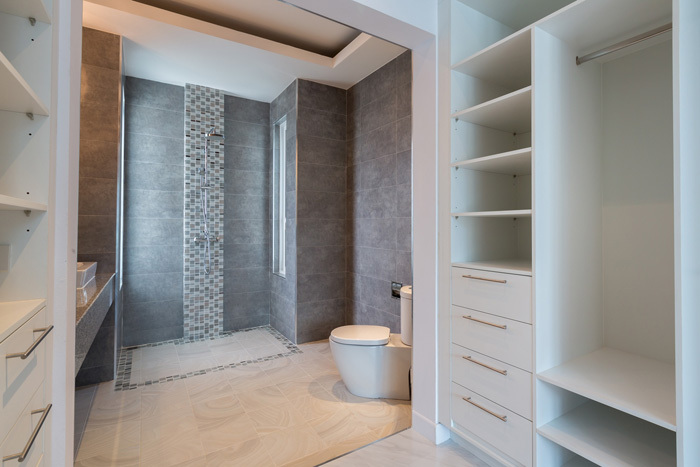 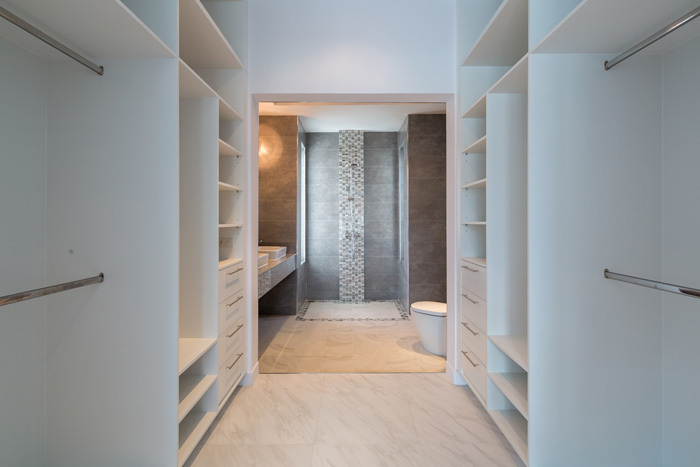 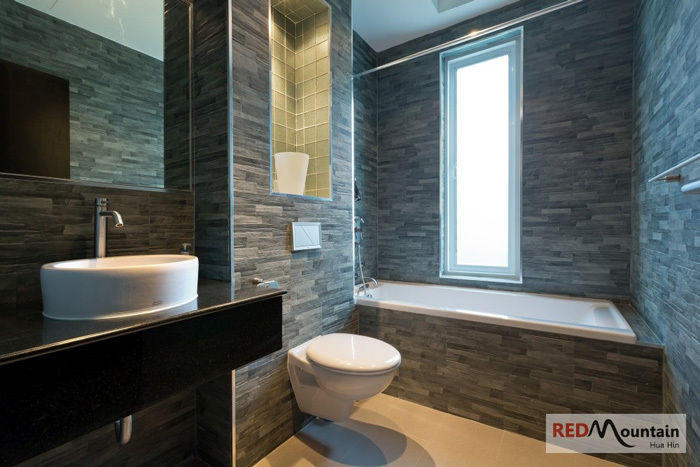 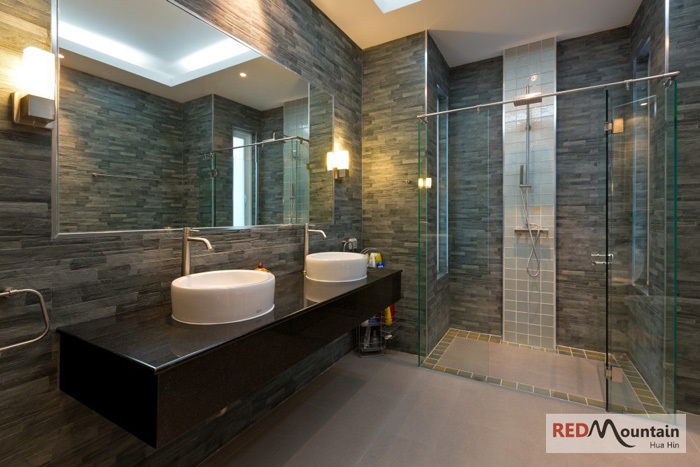 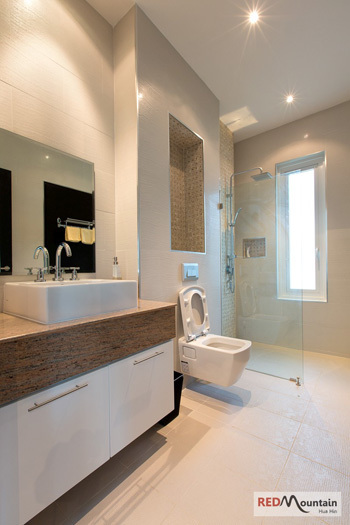 There is a second en-suite and a guestroom placed with privacy in mind in the far corner. 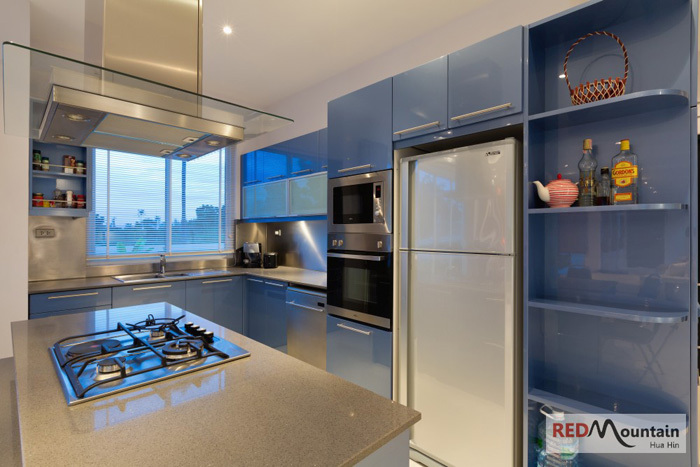 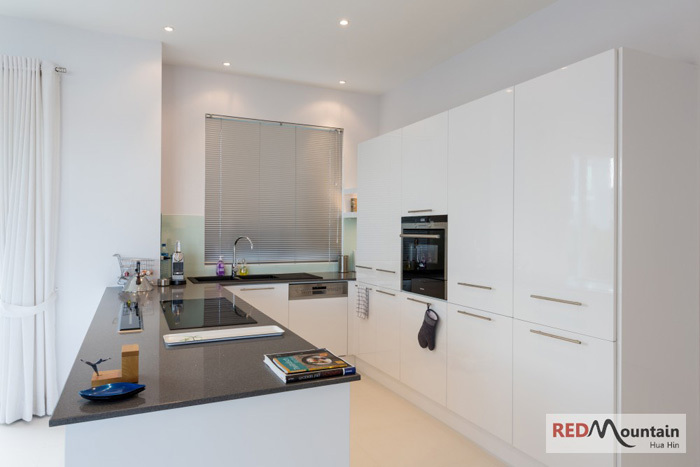 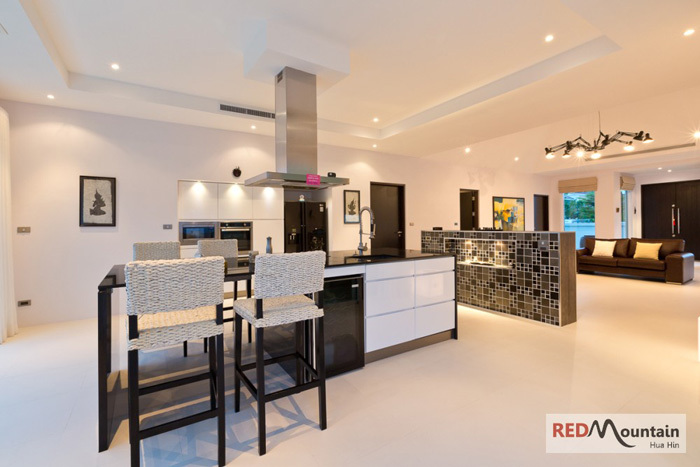 The kitchen is placed to provide smooth access to the airy terraces and living room, and the car-port is tucked well away from view, keeping the landscape garden and pool views clear. 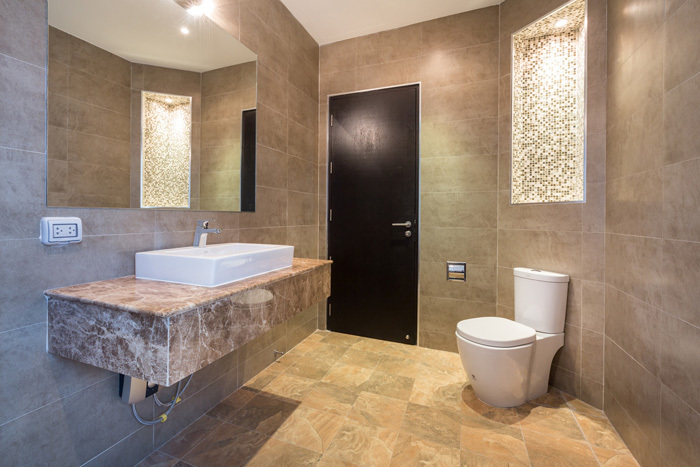 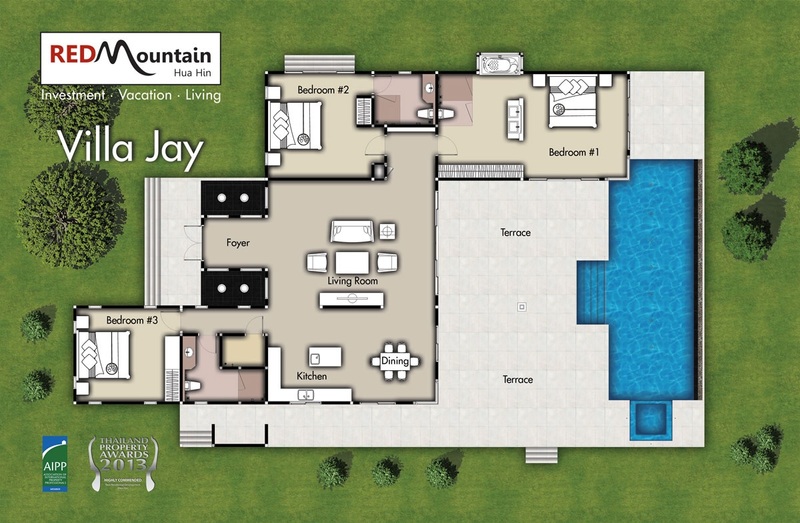 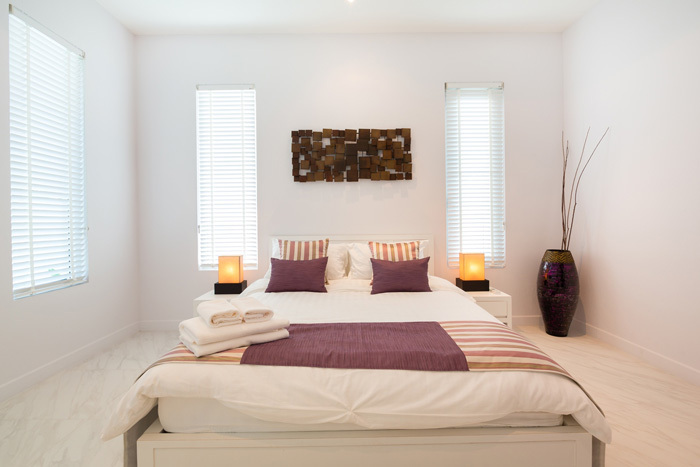 A 3 bedroom, 4 bathroom design in which all bedrooms are en-suite and with a separate bathroom serving guests. 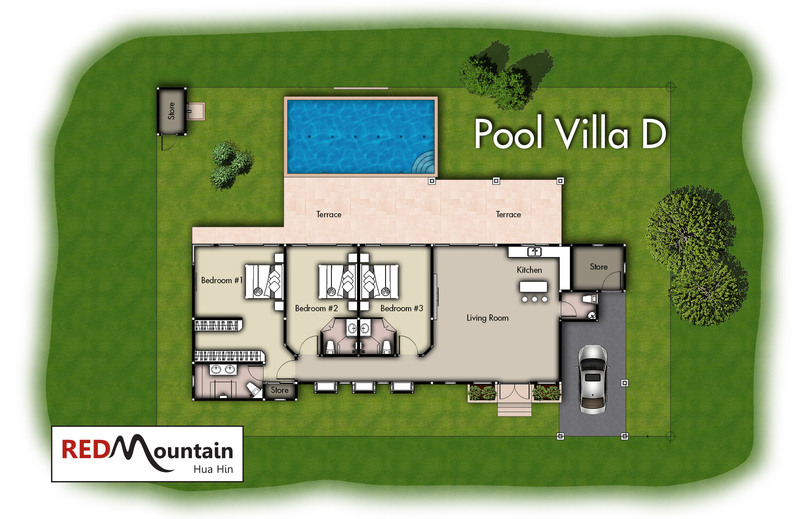 The key concept of this design is that all rooms have direct access to the large terrace and pool. 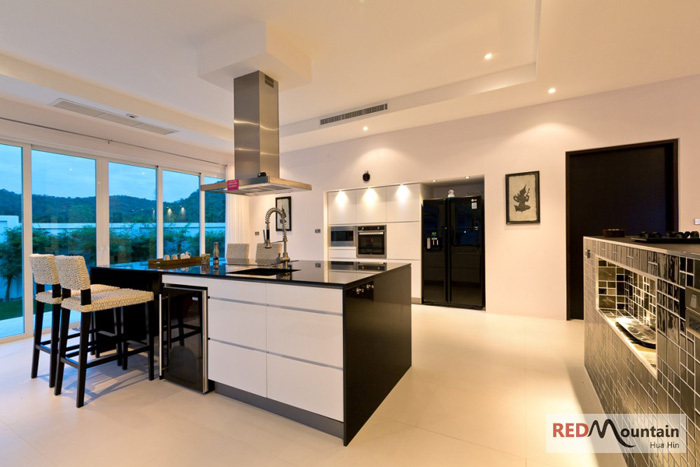 The kitchen is also placed for maximum convenience whether dining indoors or out, and the numerous windows give an extremely light and air feeling and take advantage of the mountain breezes. 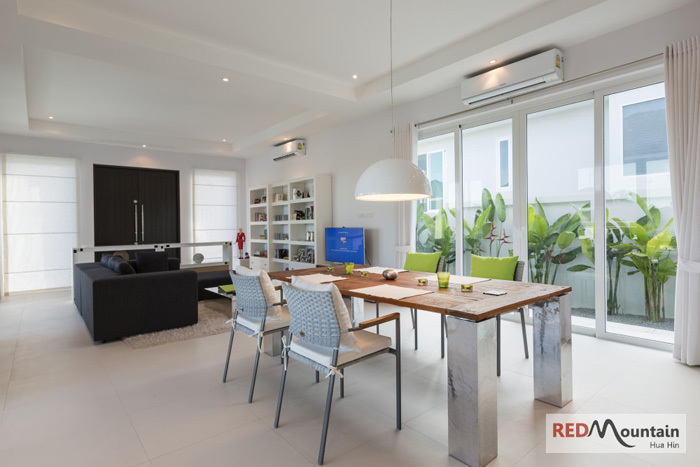 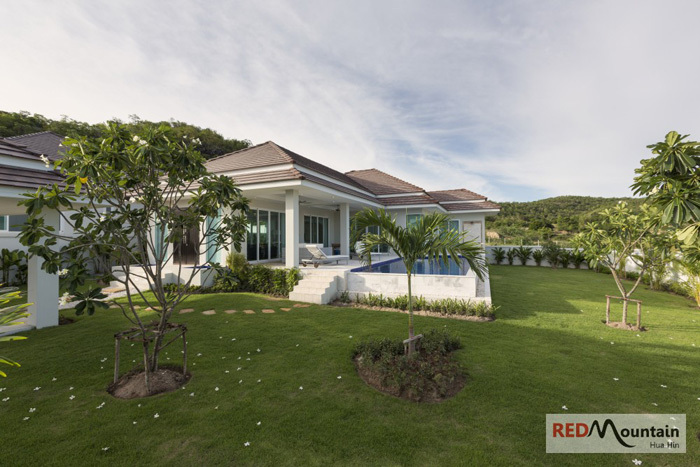 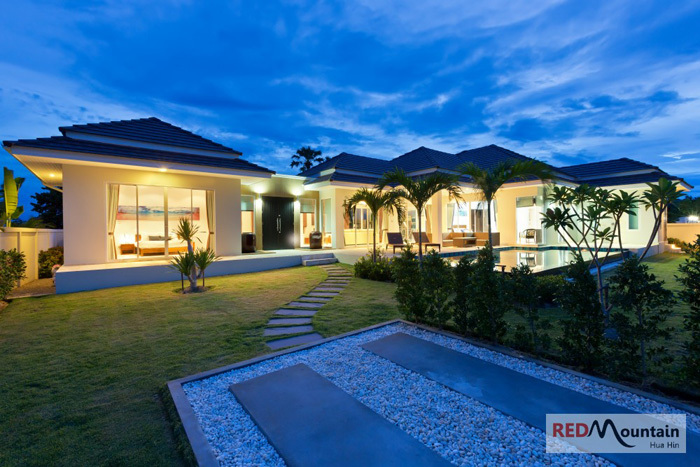 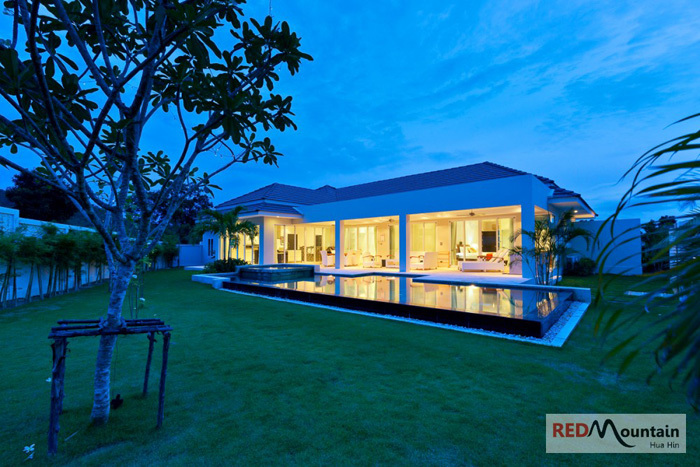 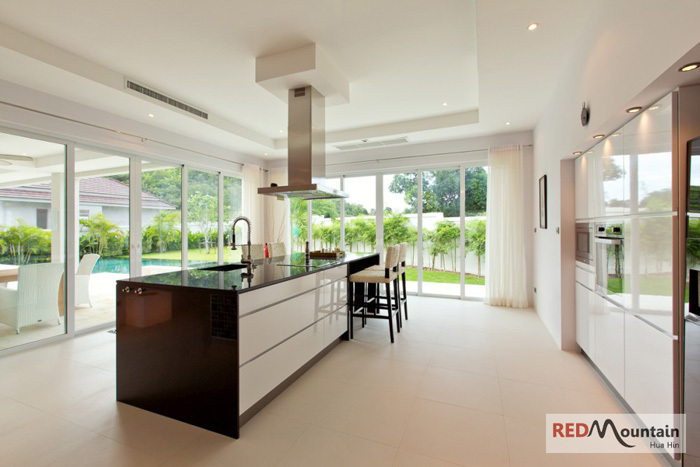 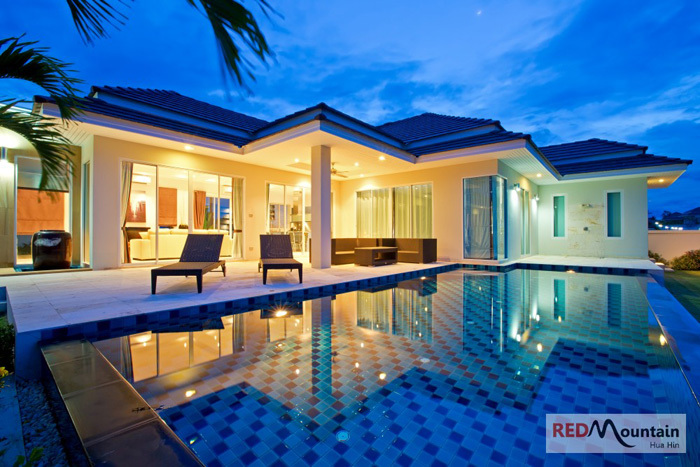 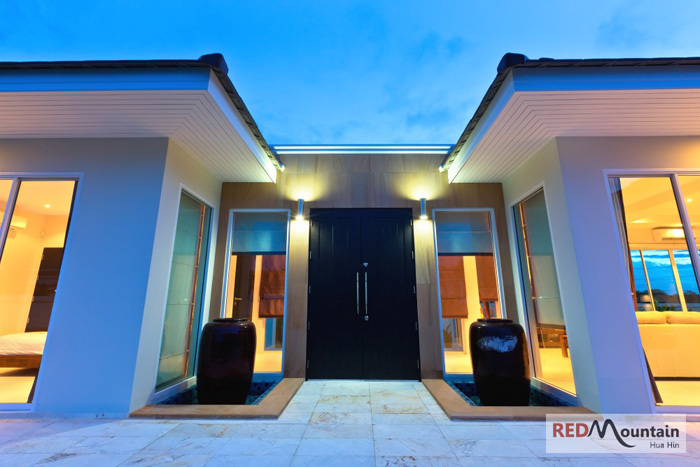 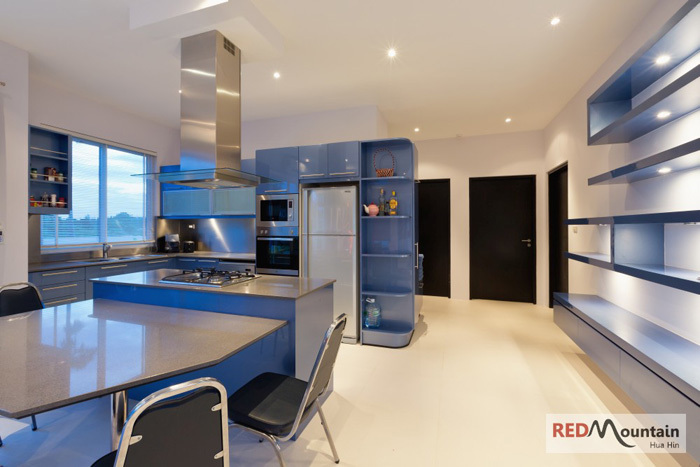 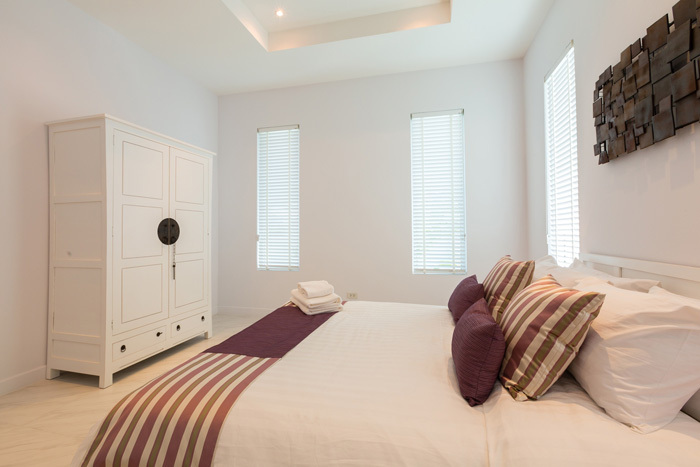 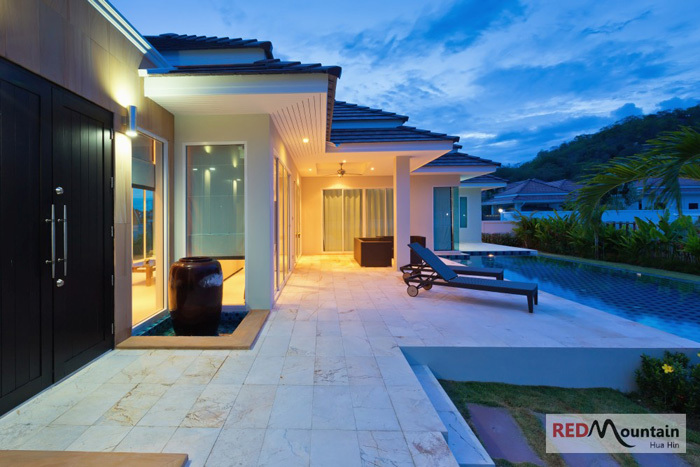 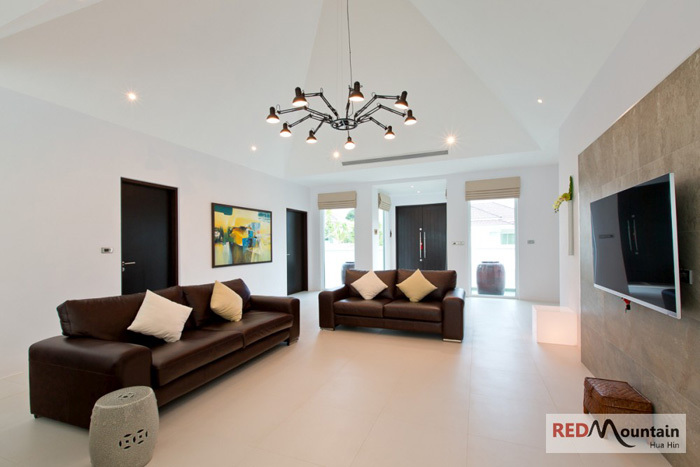 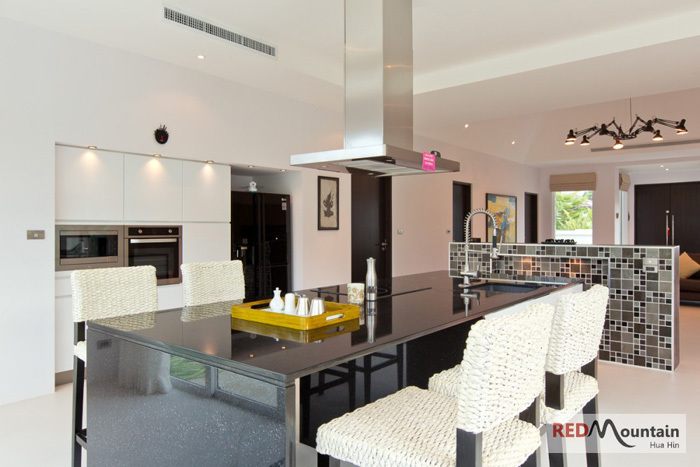 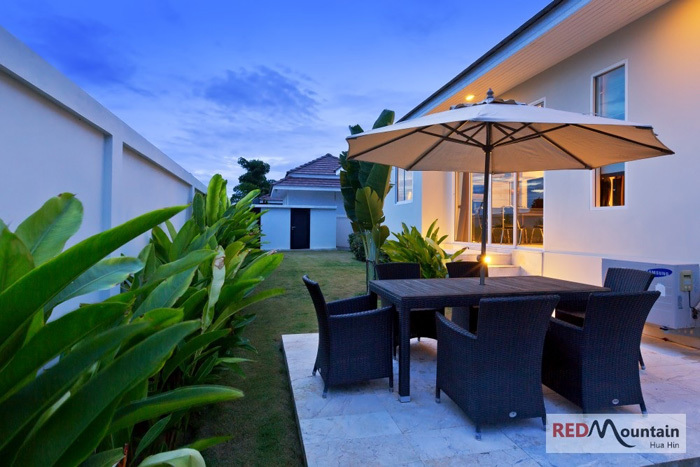 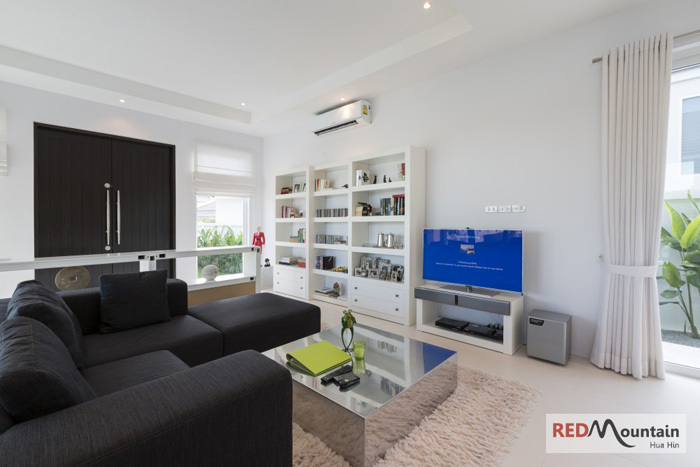 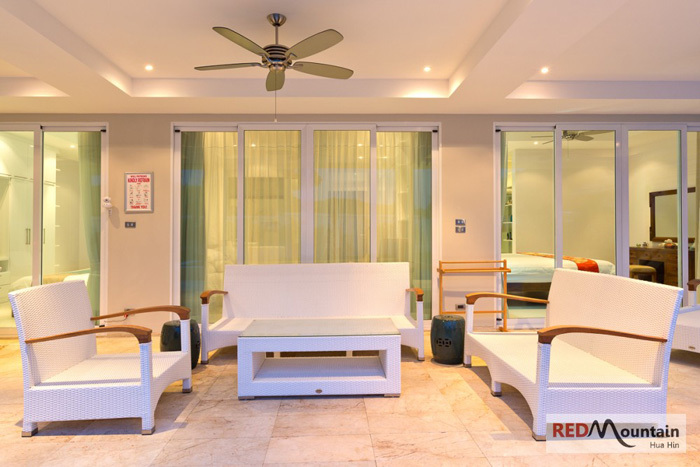 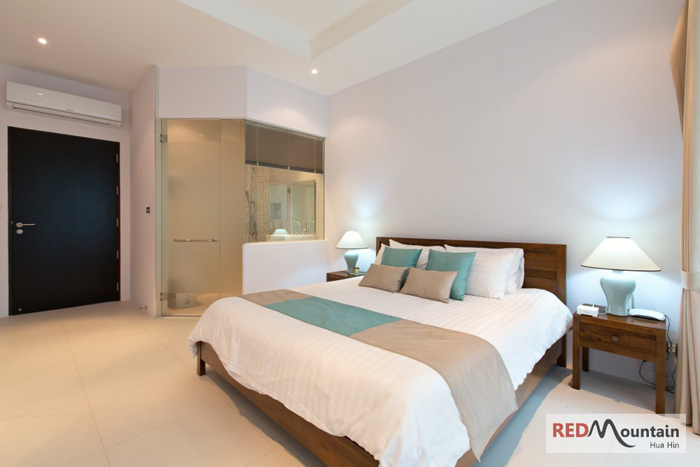 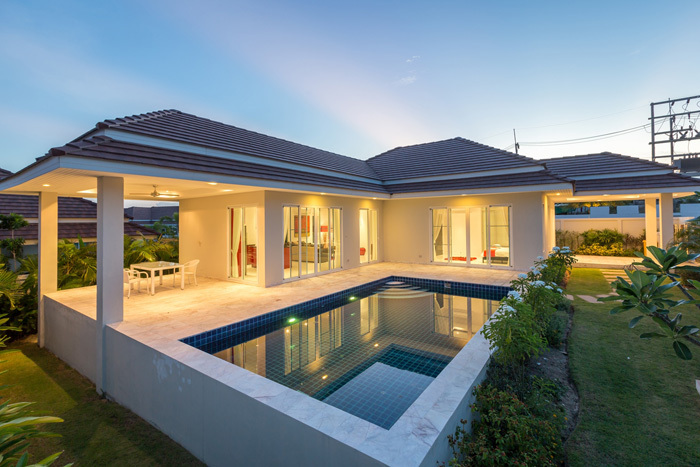 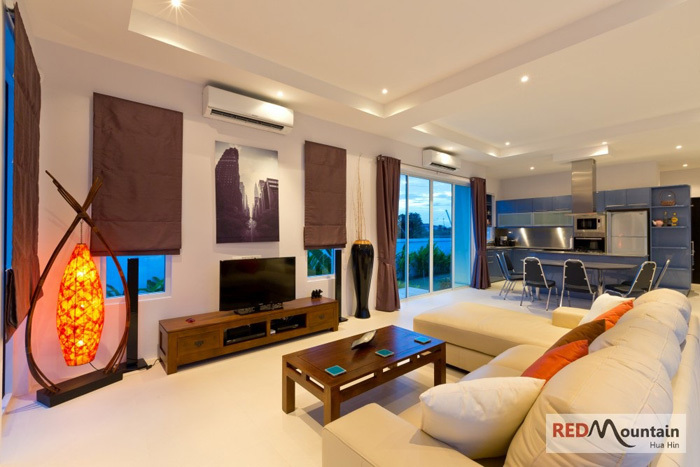 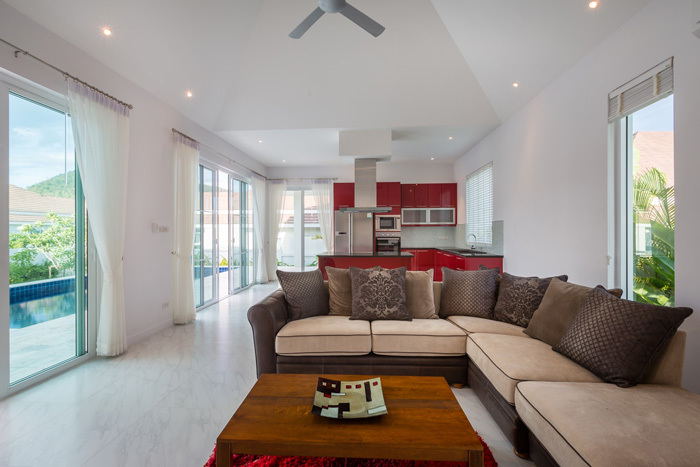 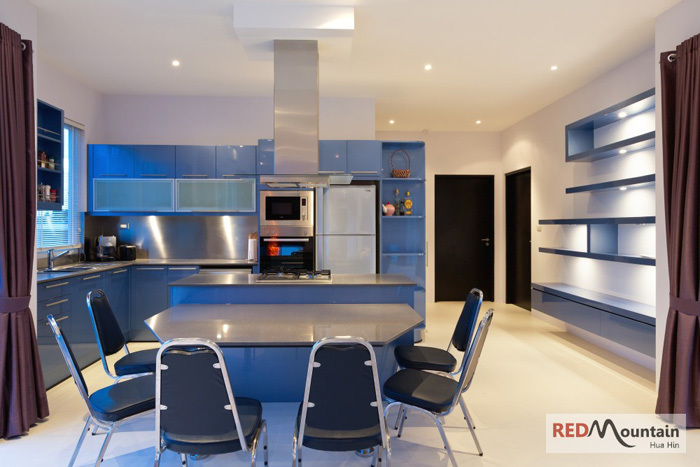 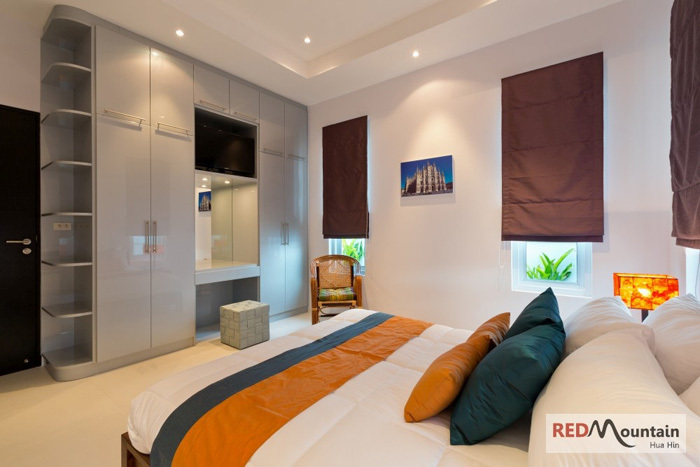 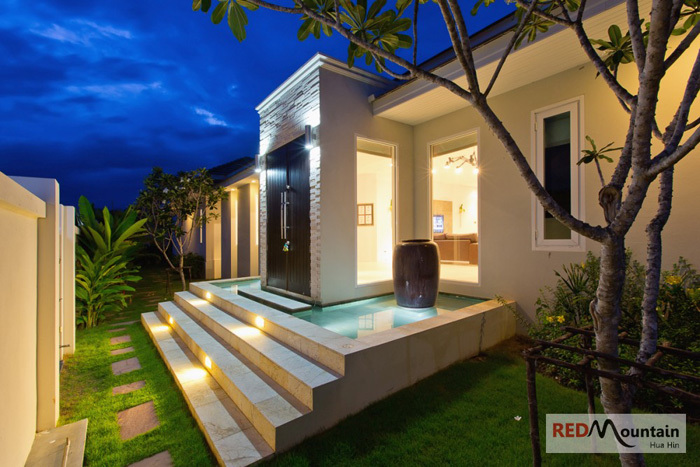 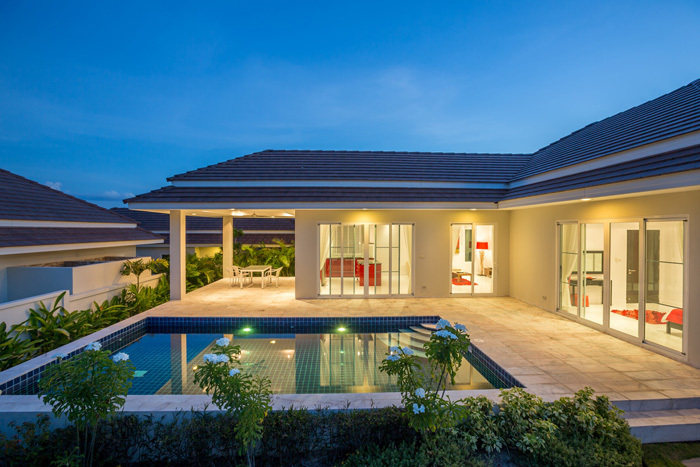 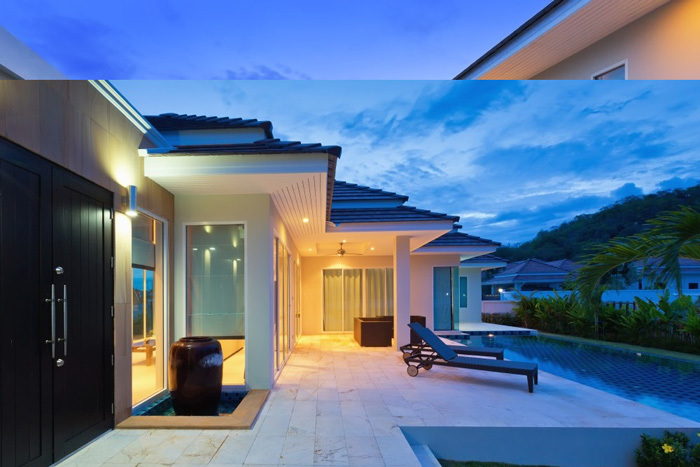 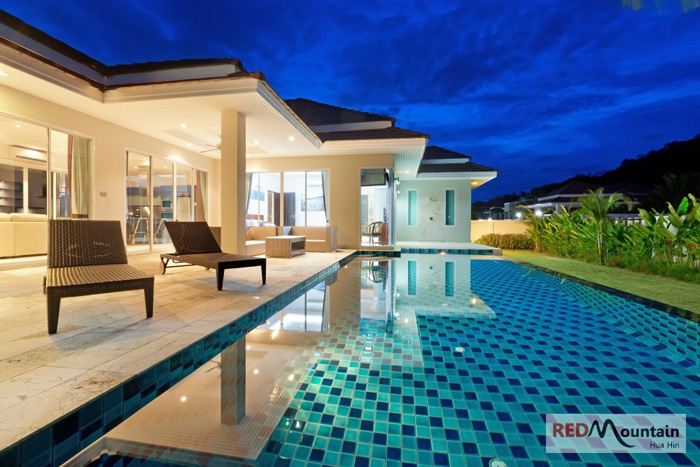 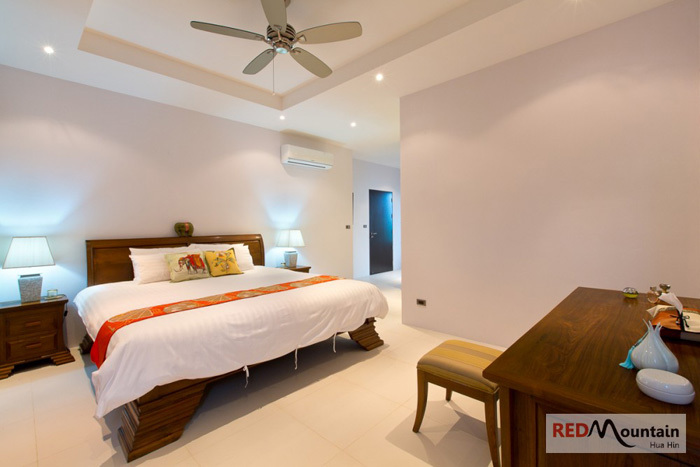 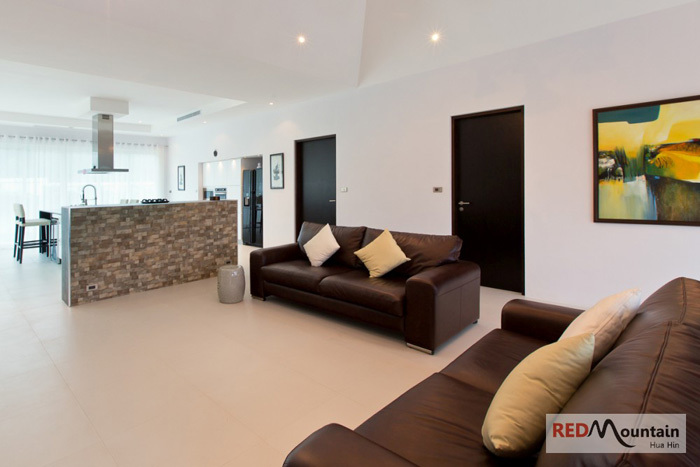 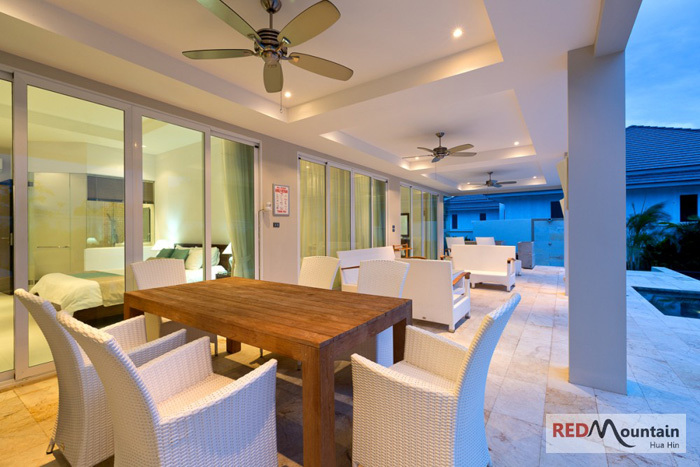 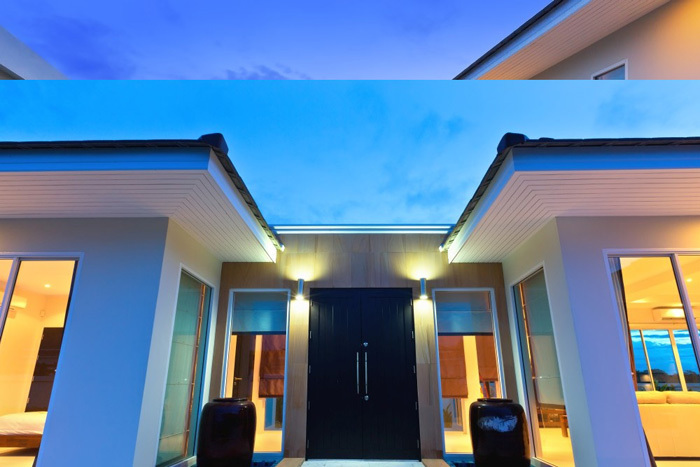 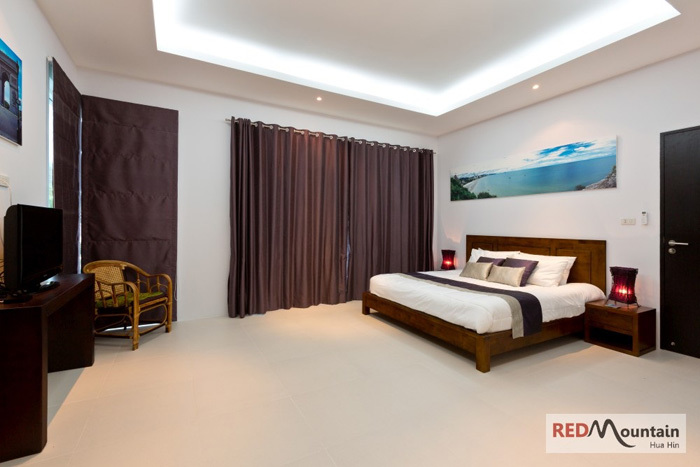 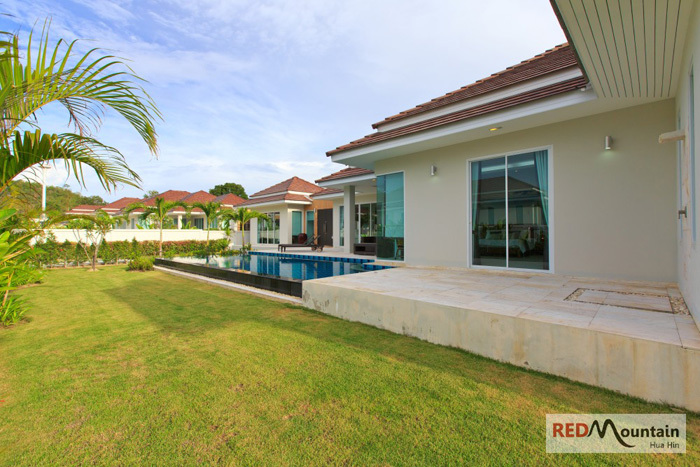 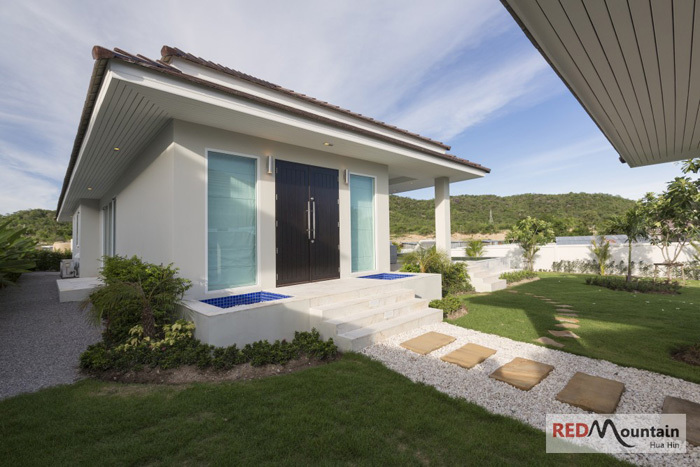 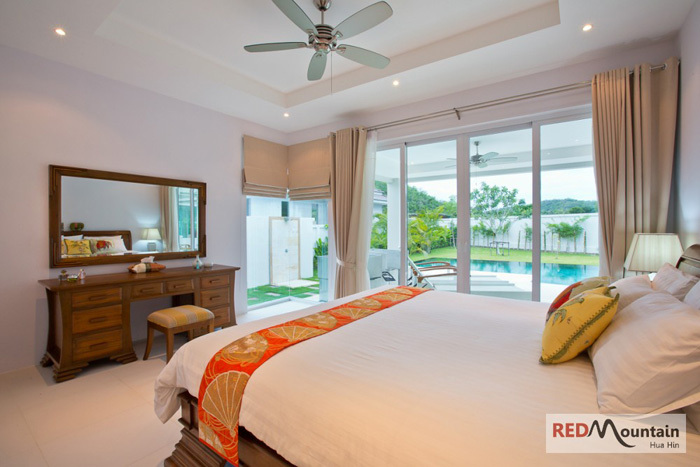 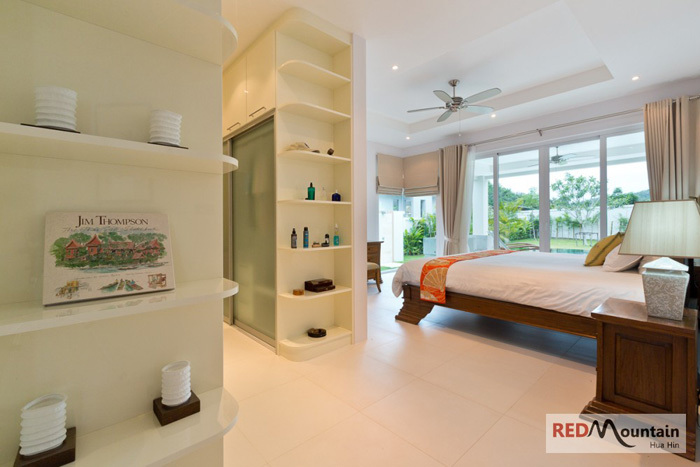 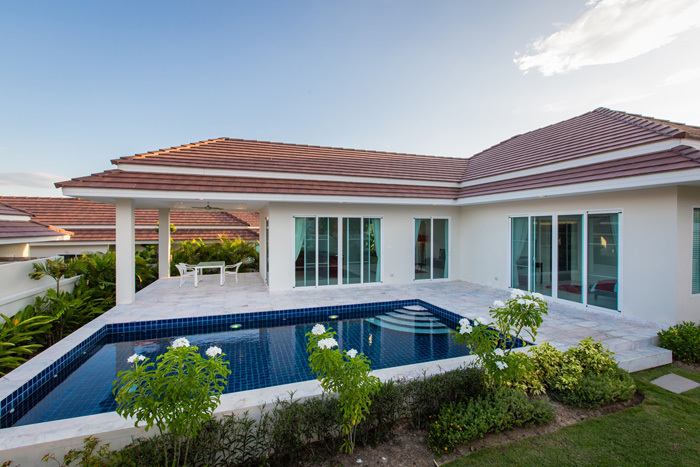 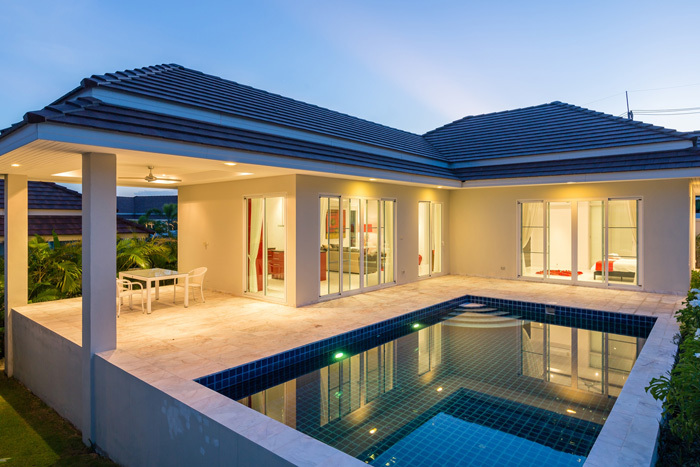 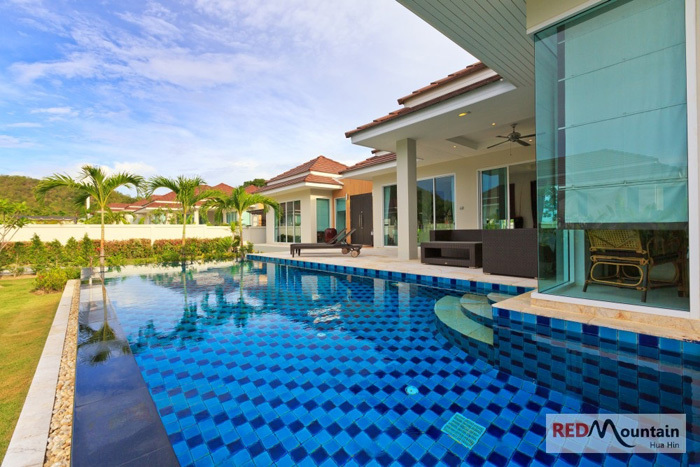 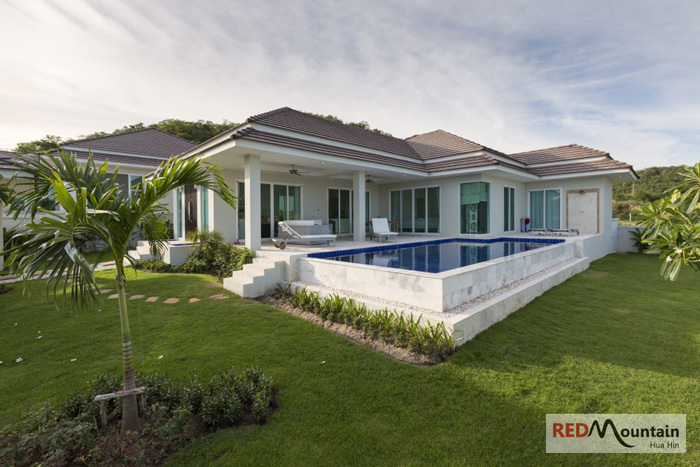 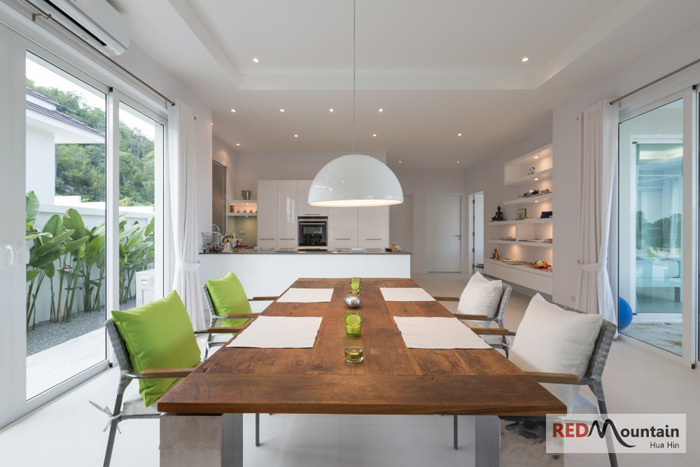 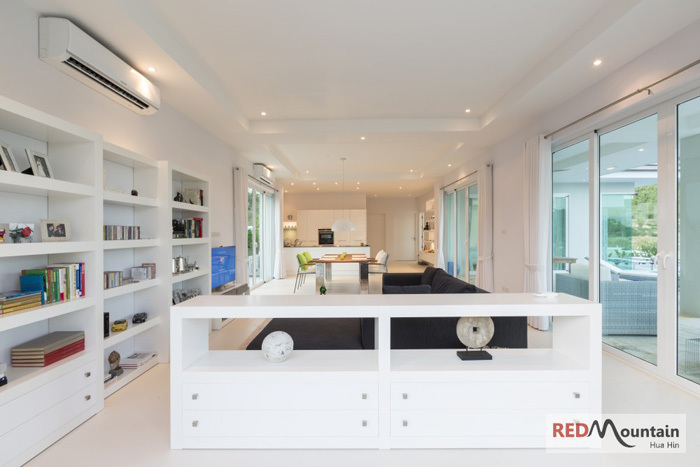 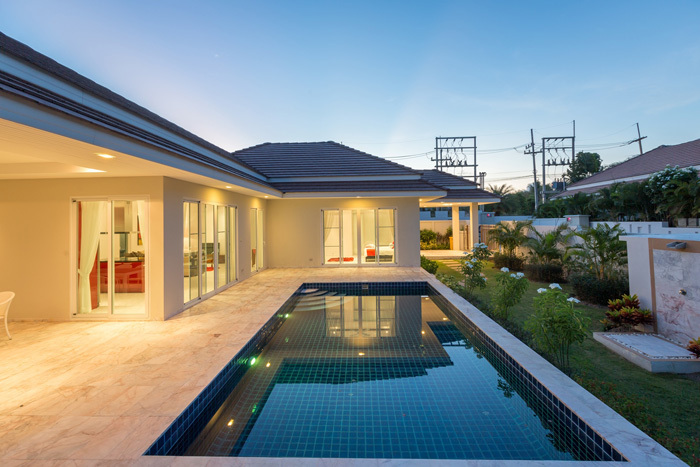 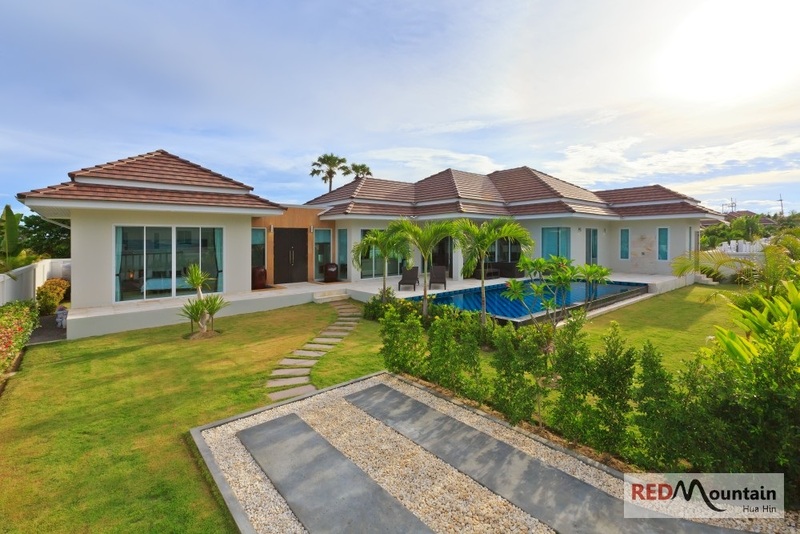 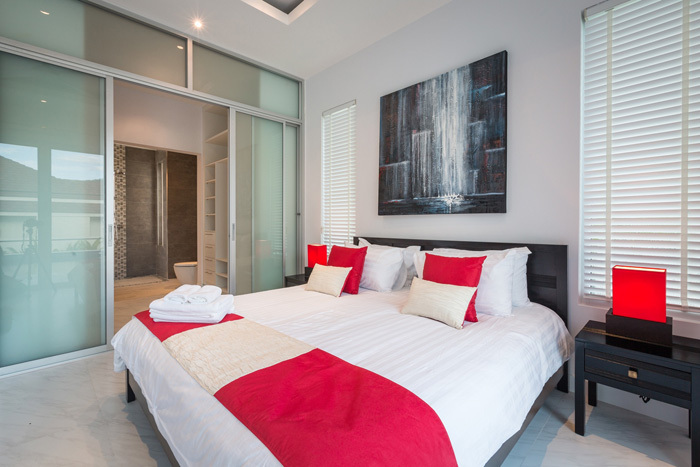 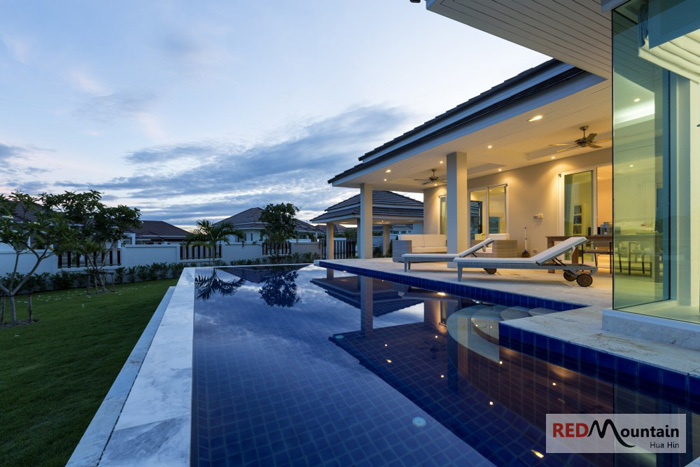 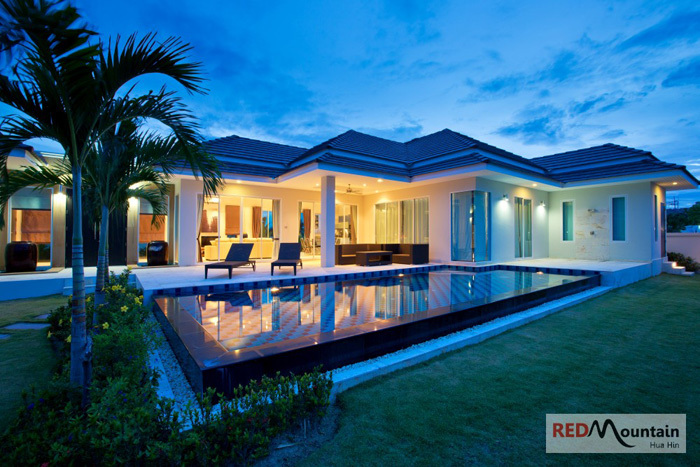 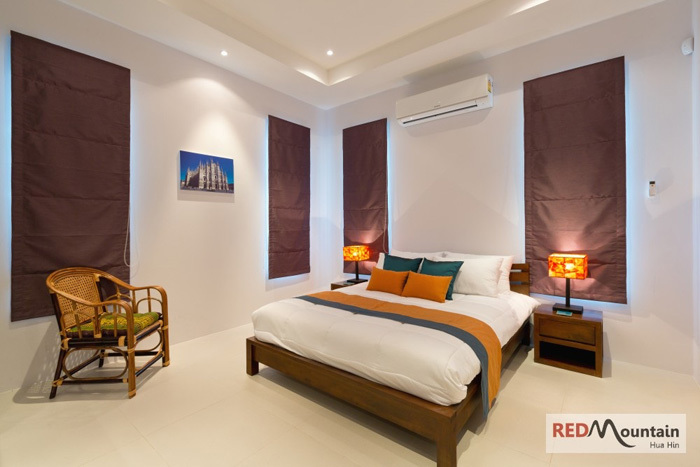 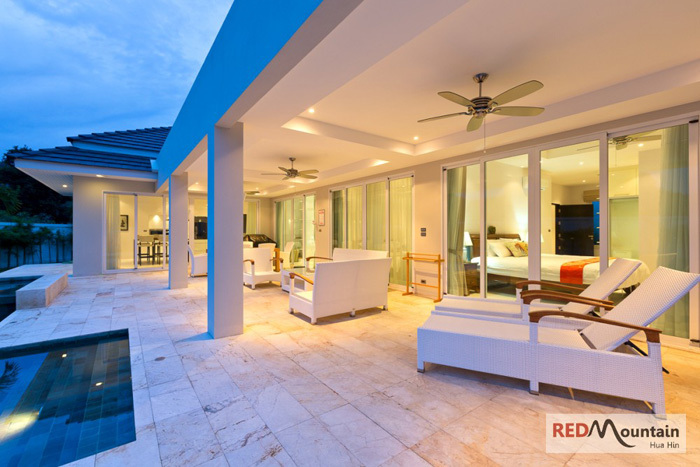 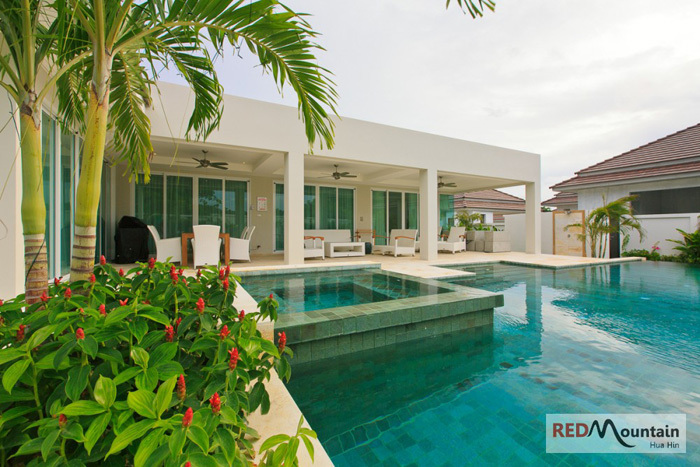 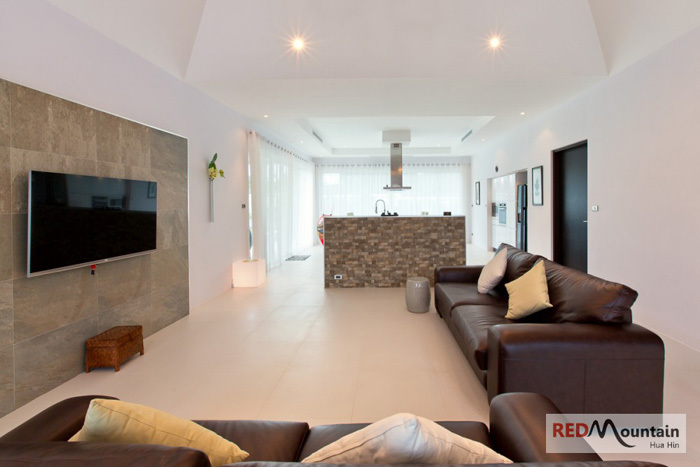 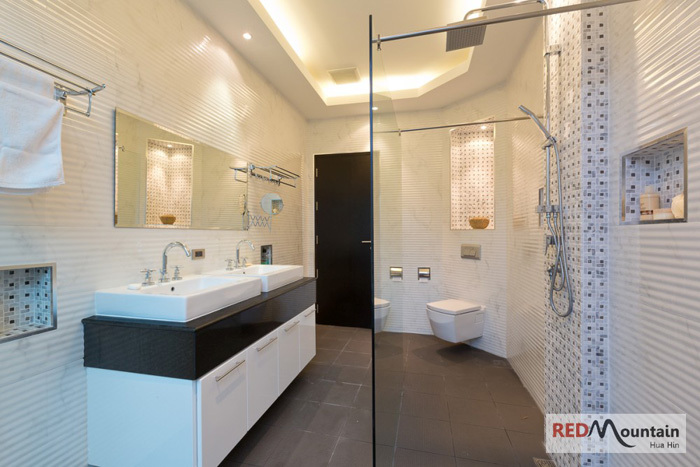 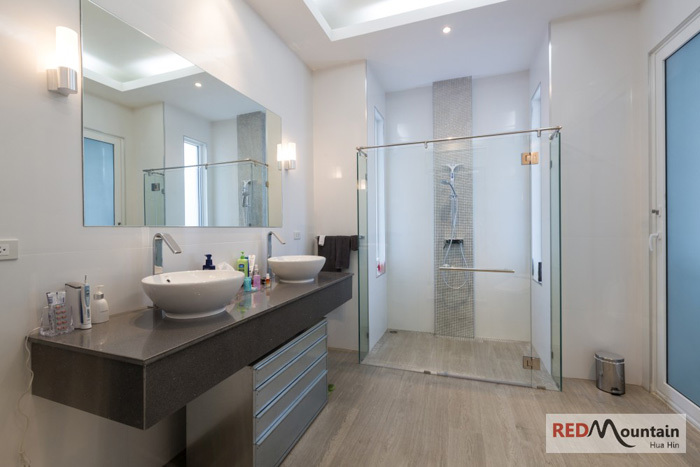 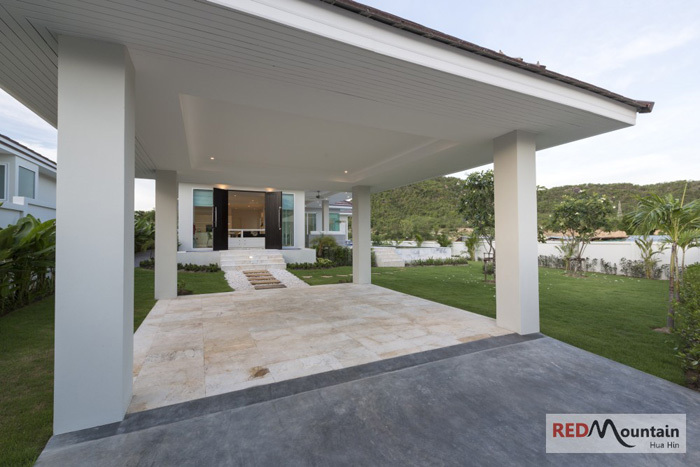 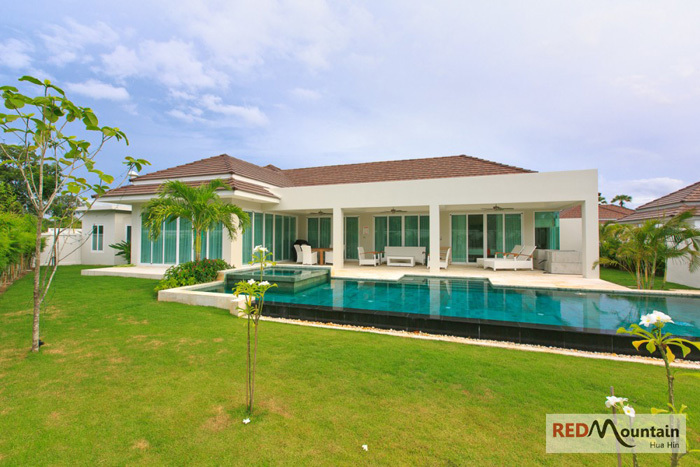 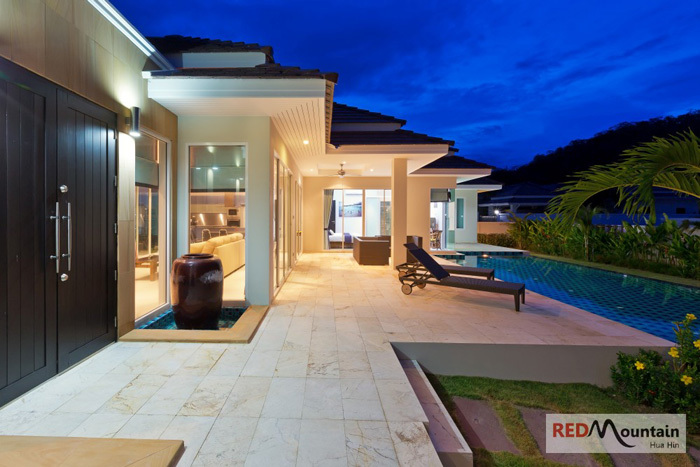 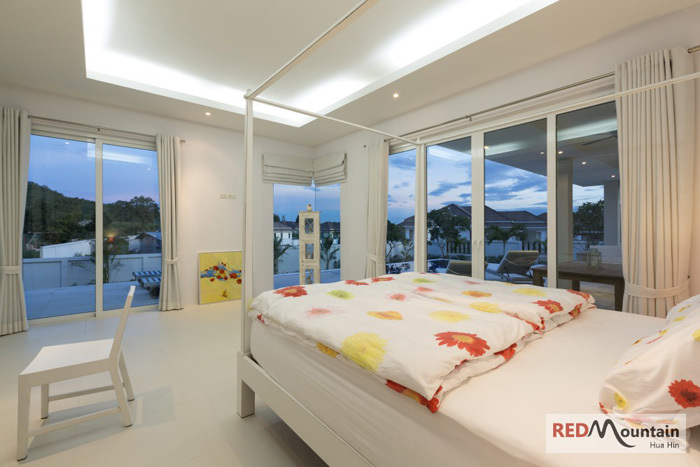 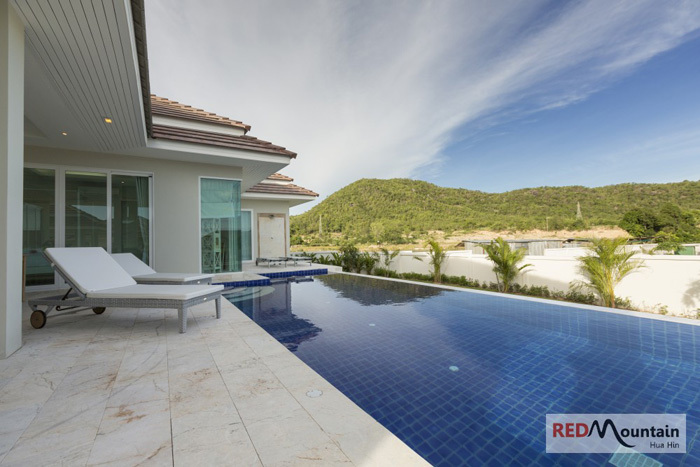 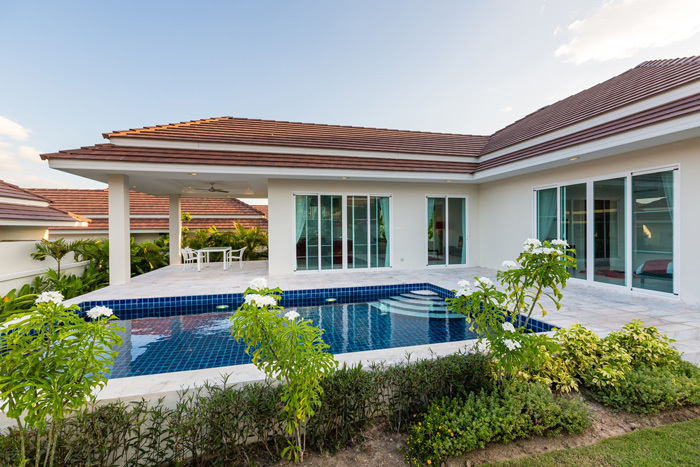 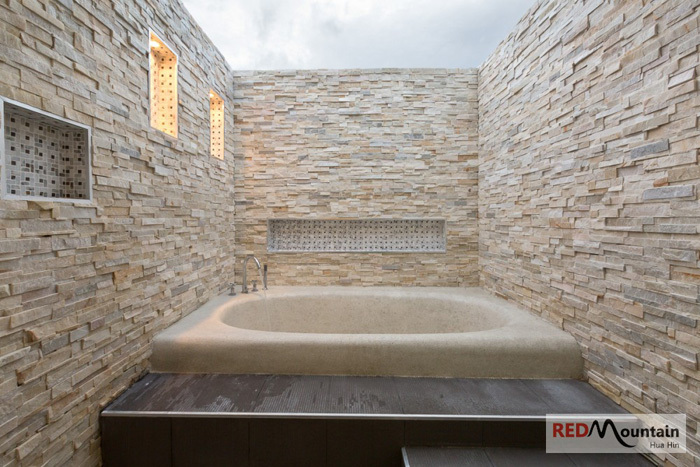 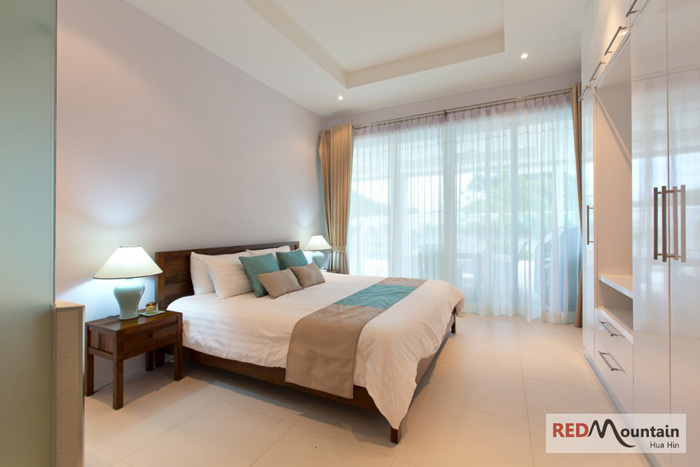 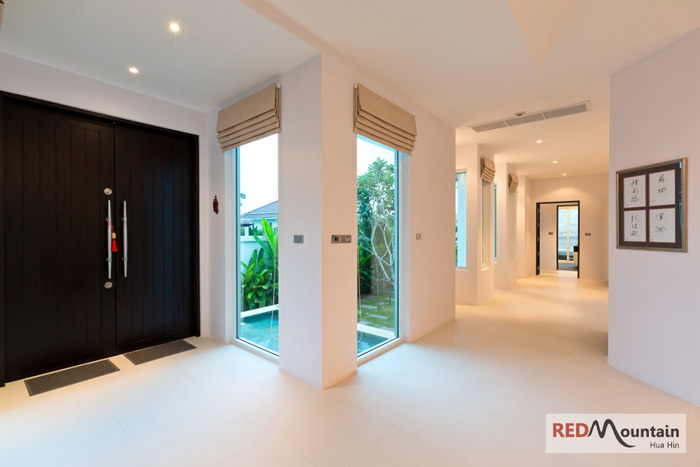 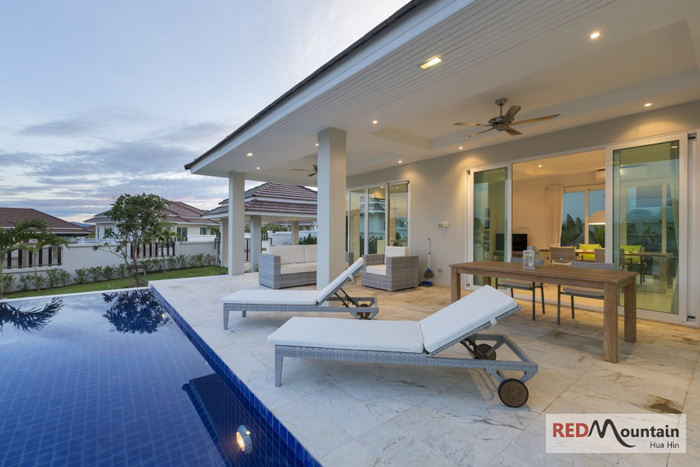 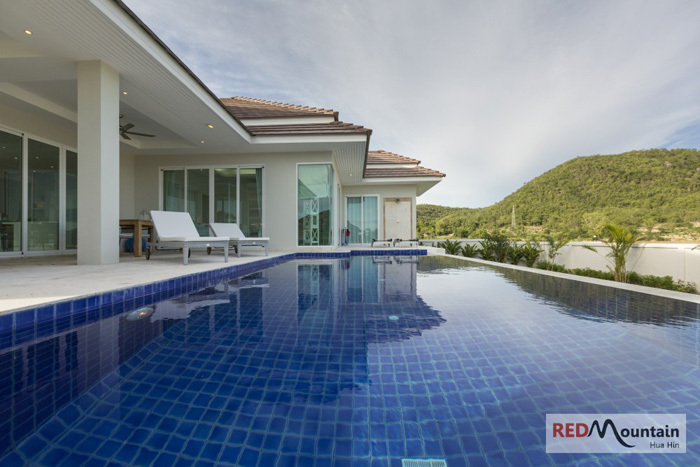 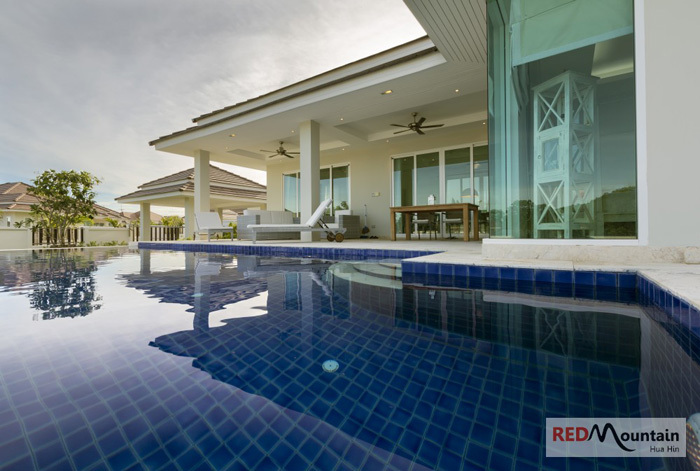 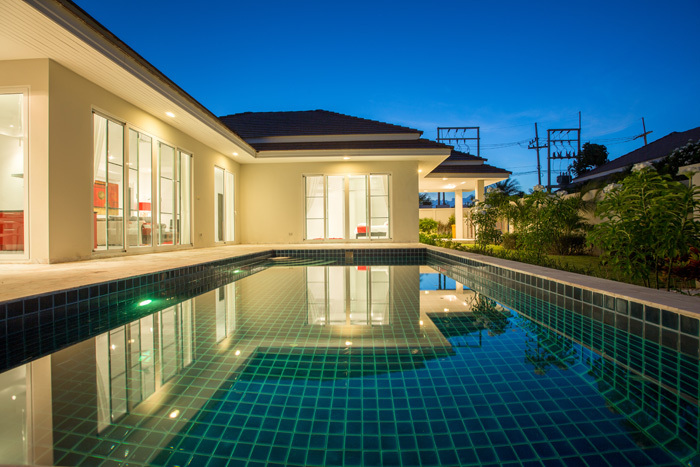 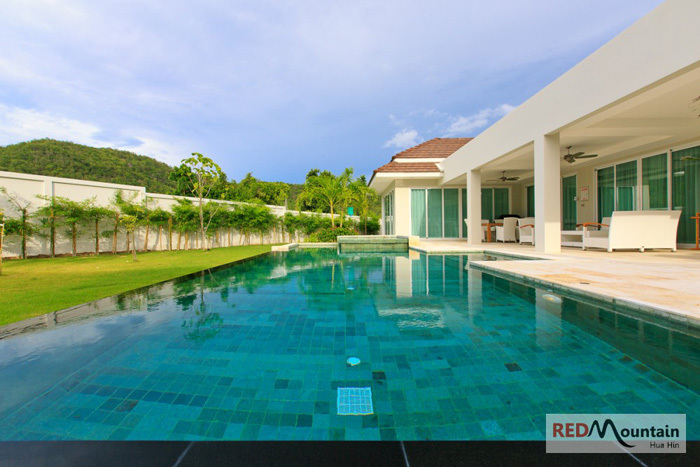 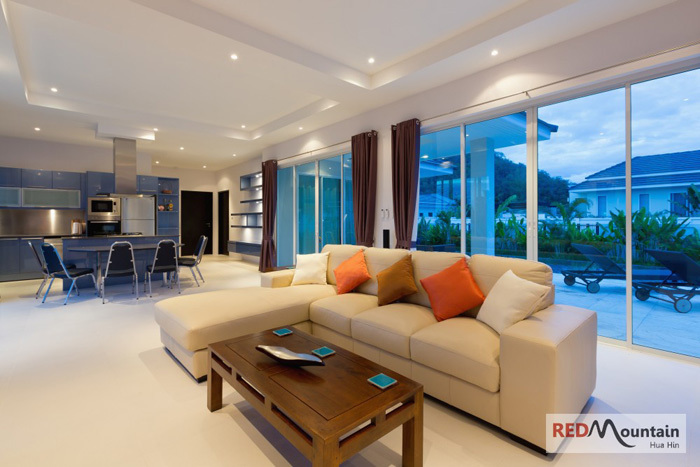 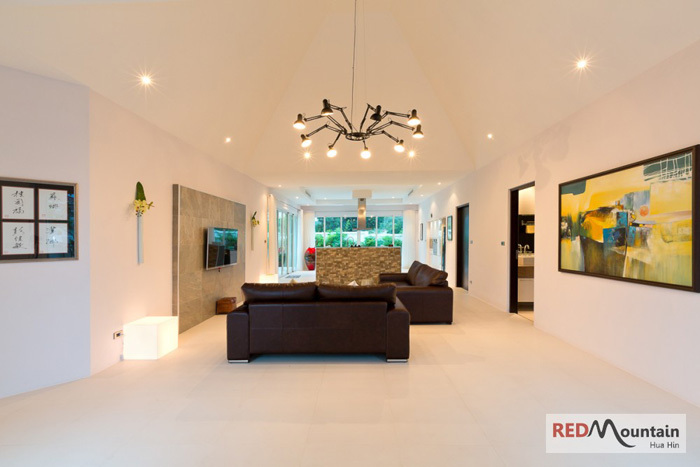 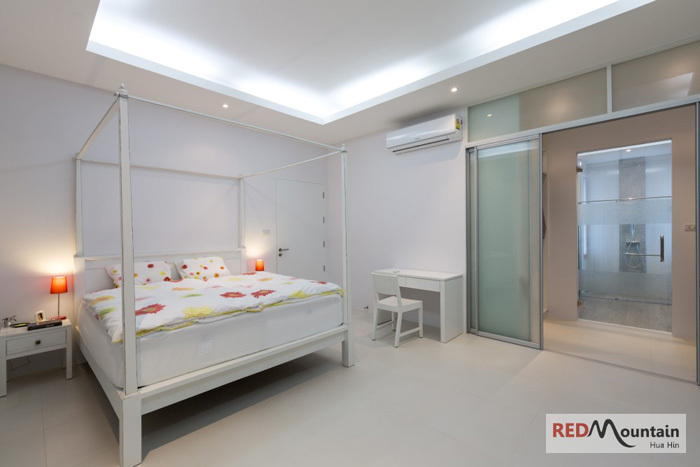 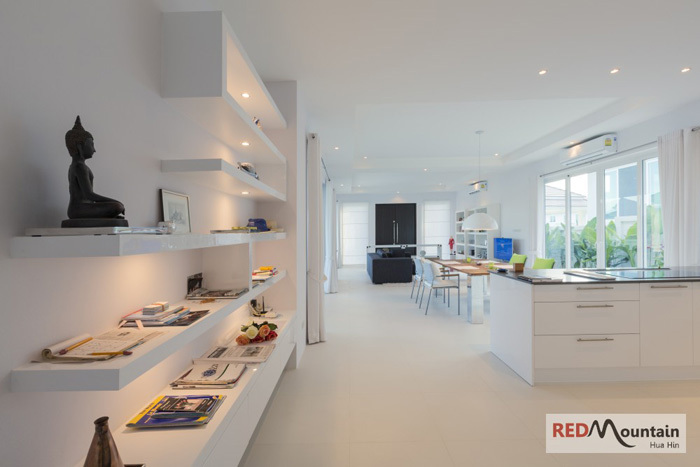 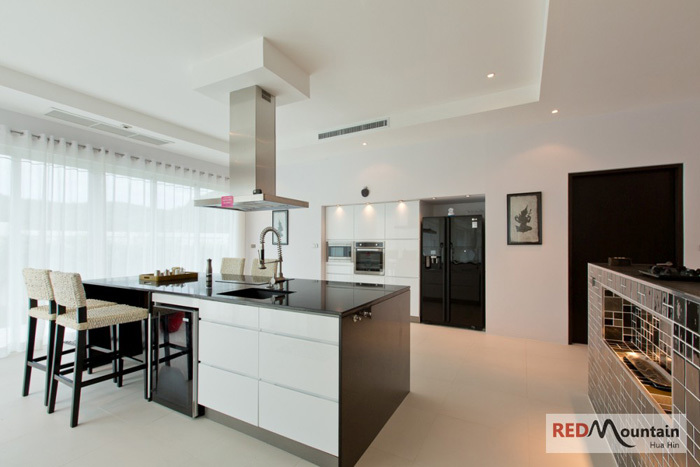 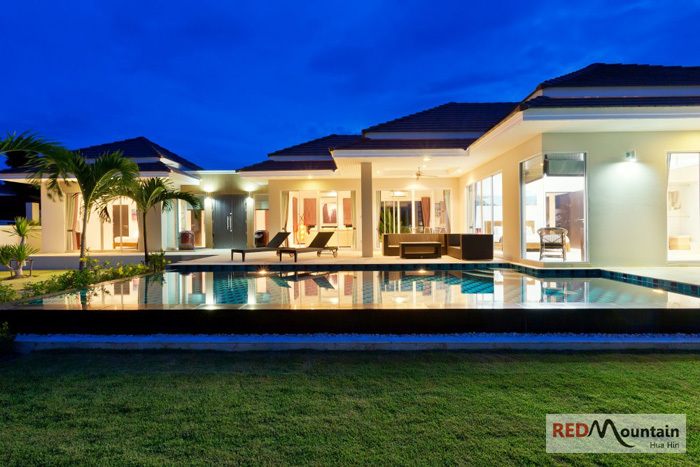 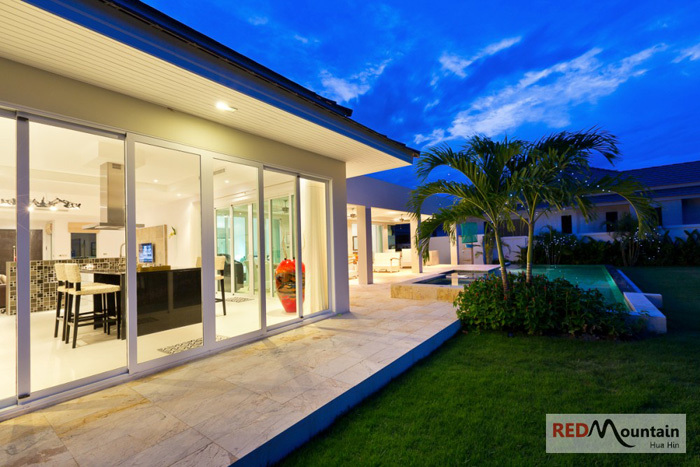 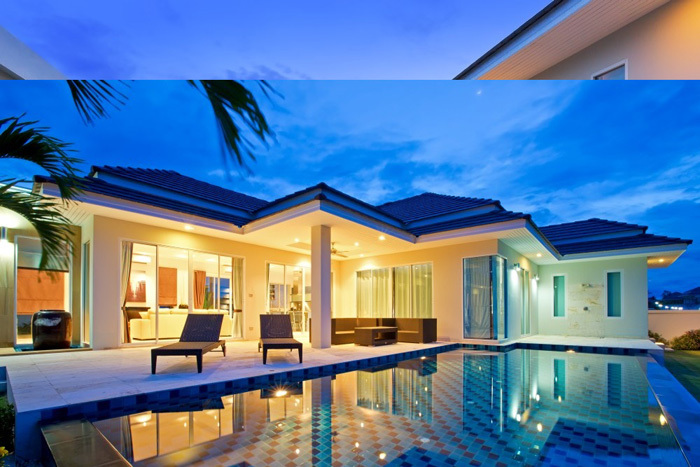 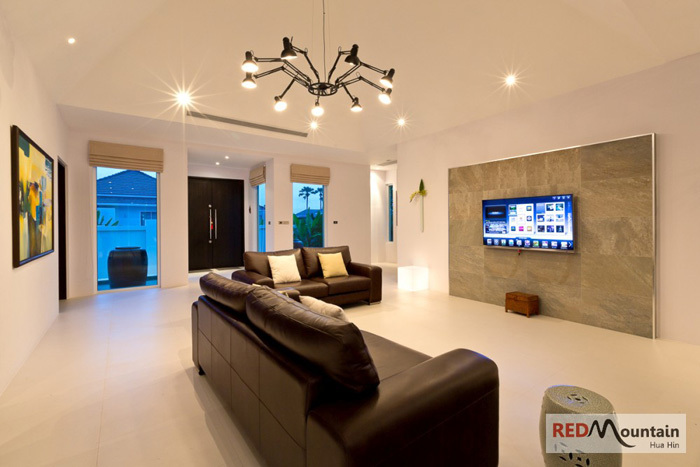 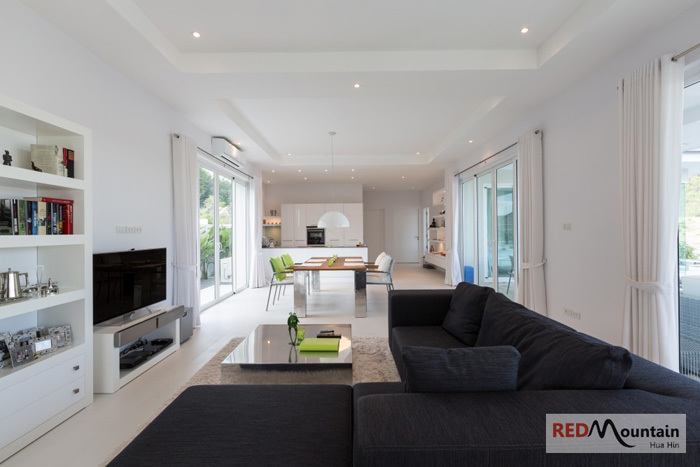 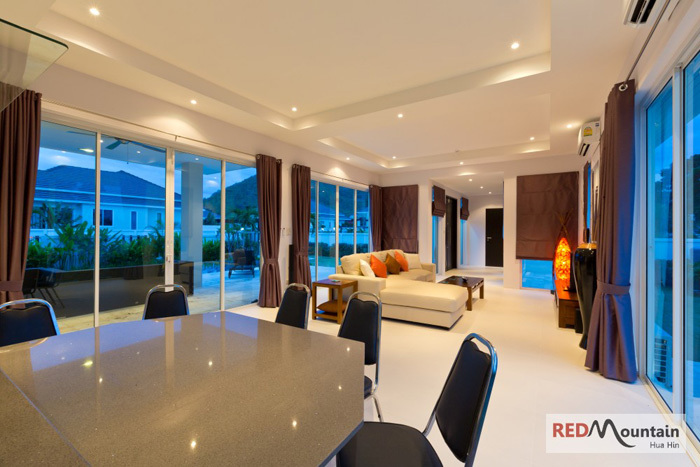 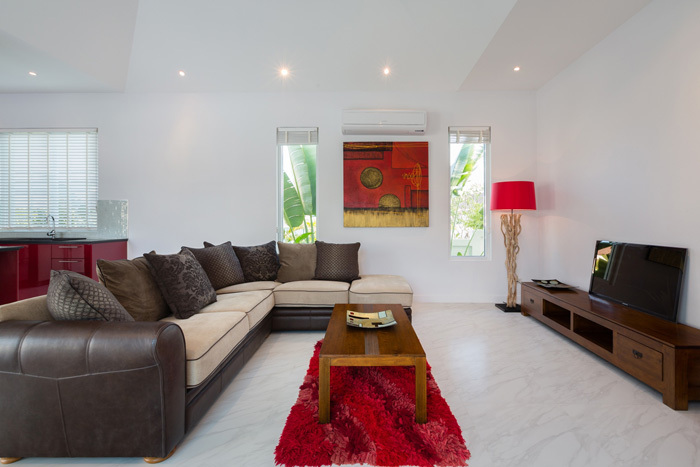 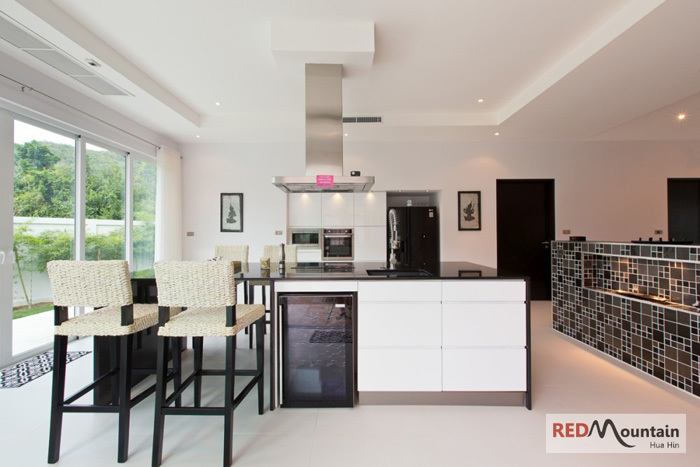 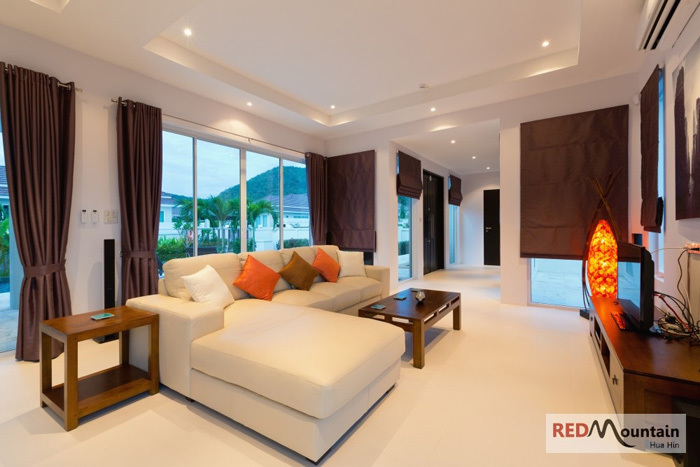 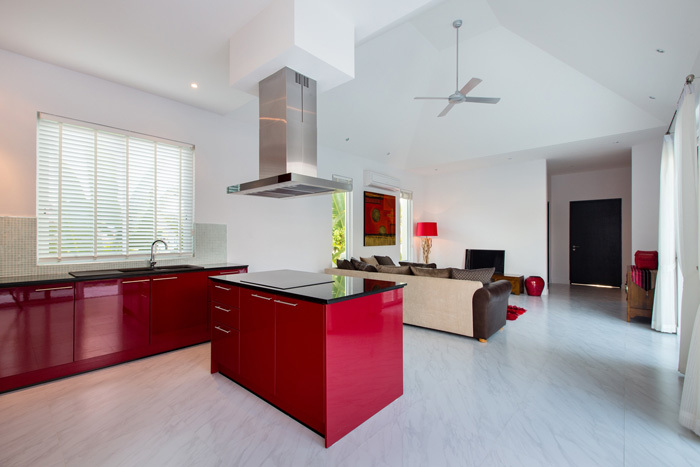 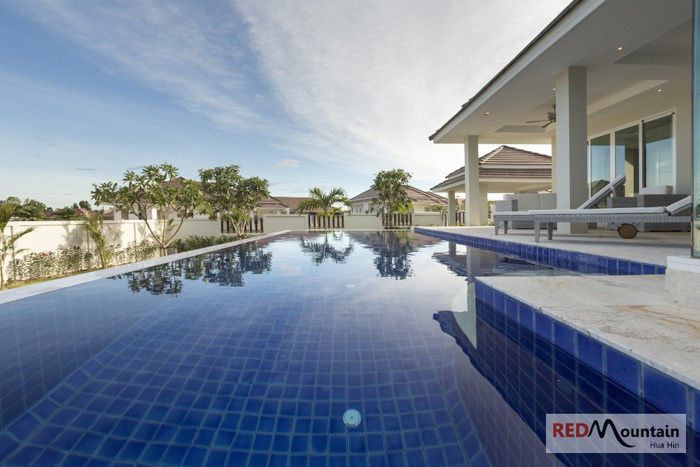 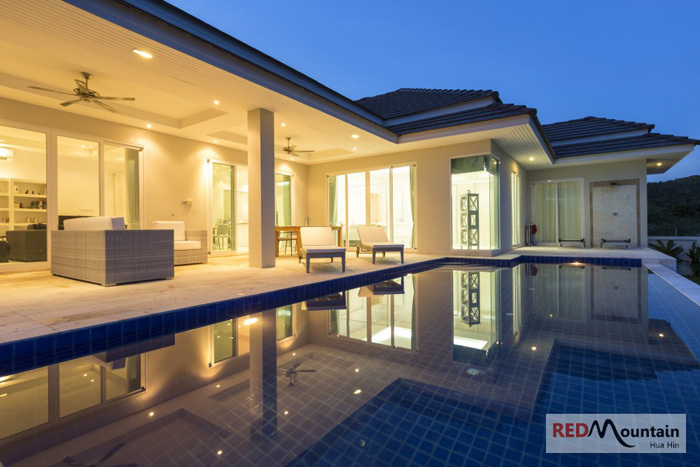 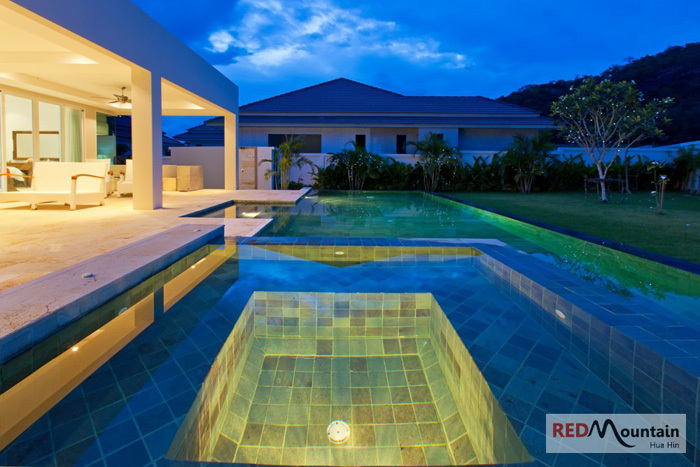 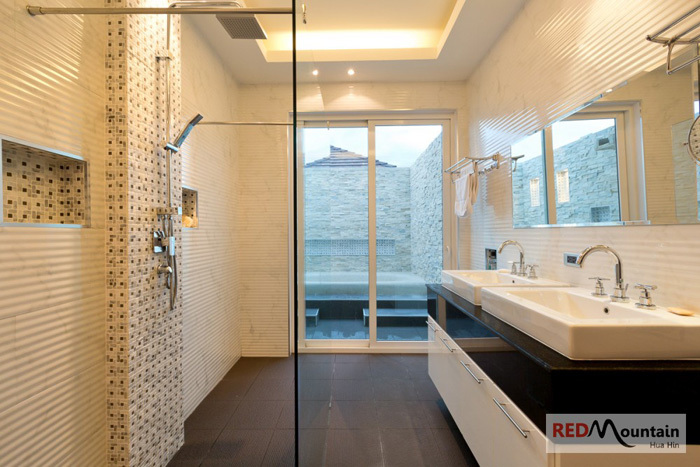 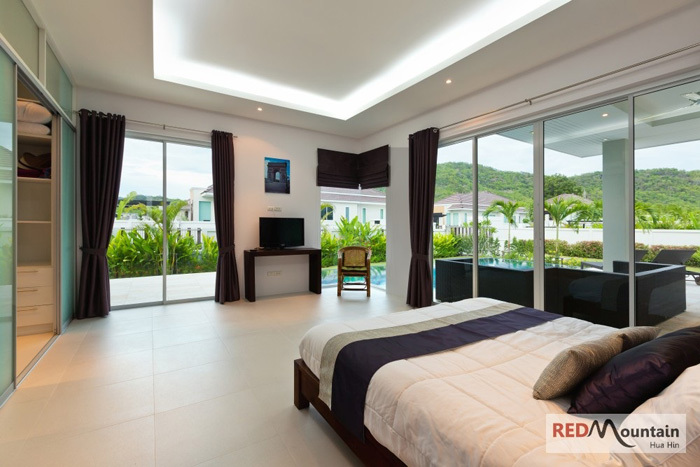 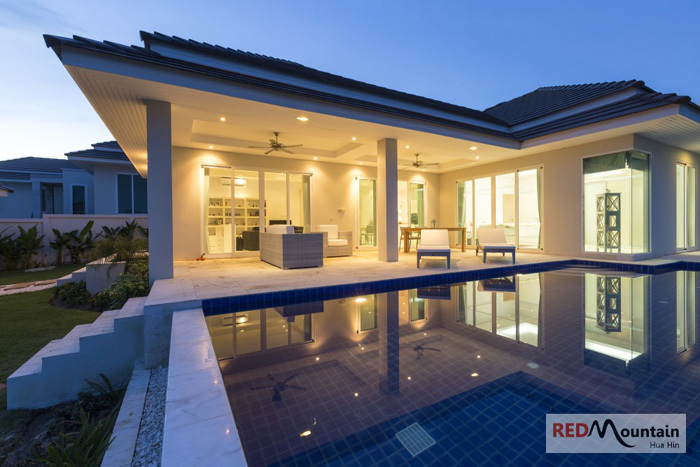 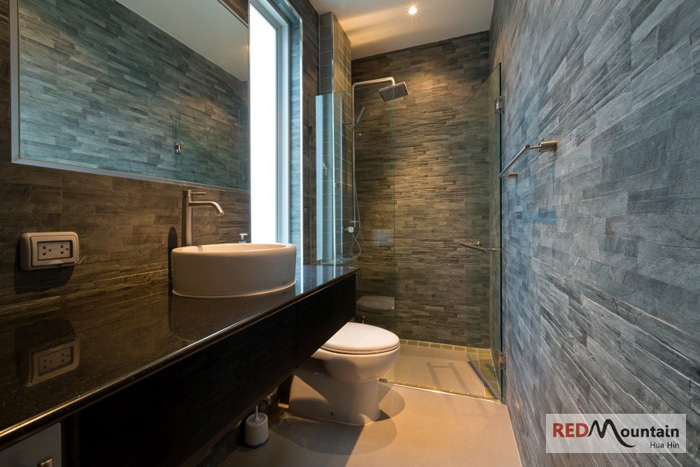 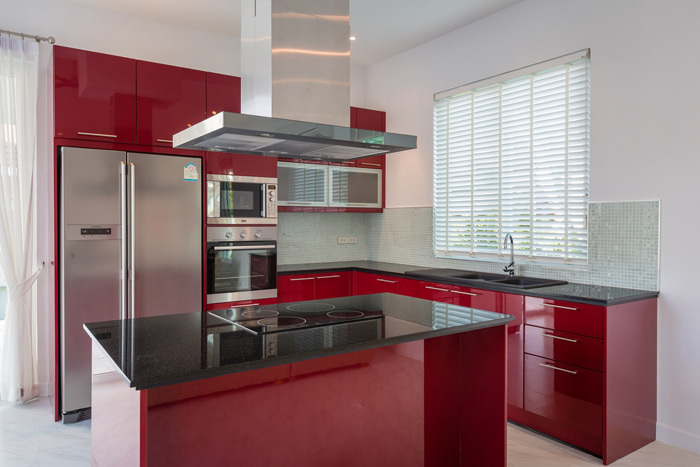 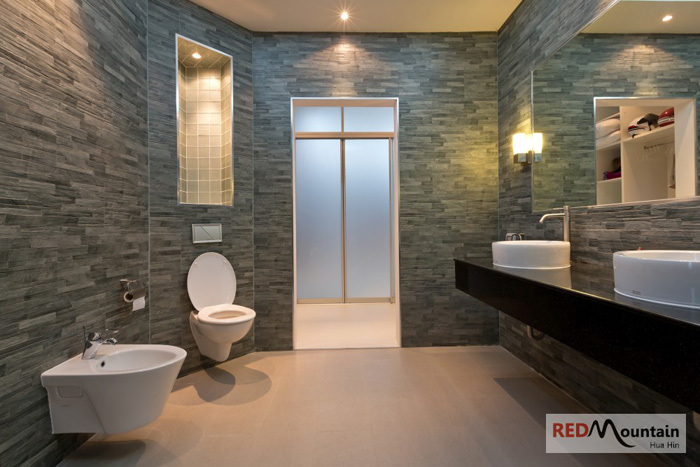 Red Mountain (Woodlands Residence is located just a 10 minute drive West of Hua Hin town in Soi 88. 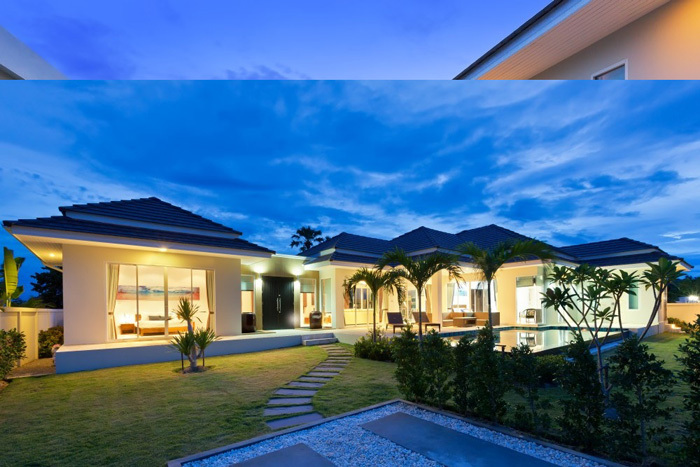 On land plots ranging from 850 up to 1,600 sqm. 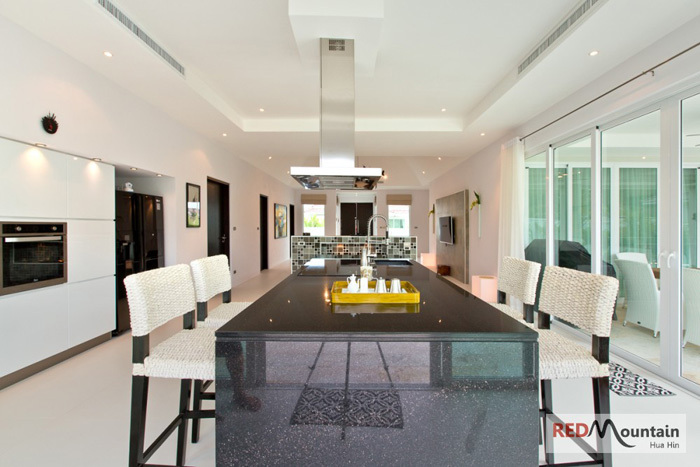 house designs and specifications are a joint collaboration between the client and the developer.